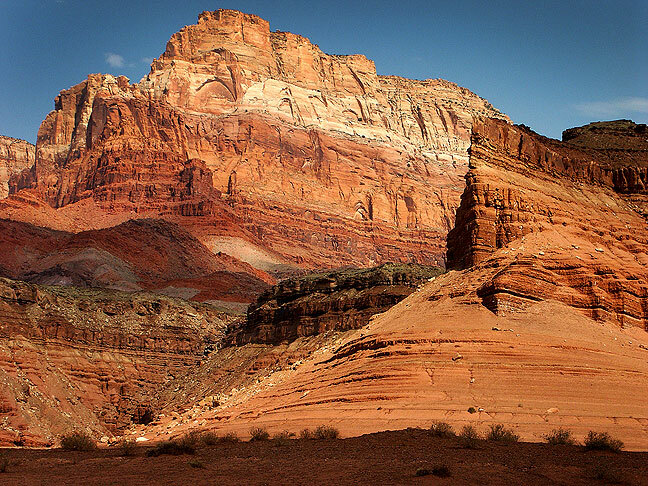 The commanding Vermilion Cliffs in northern Arizona stand in brilliant morning light. 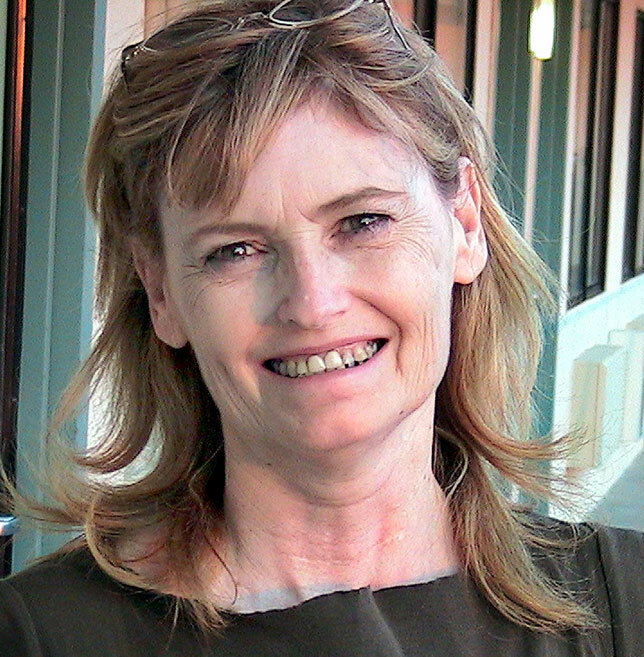 Abby smiles at me in Santa Fe. This was my first vacation with Abby Milligan, who was destined to become my wife. 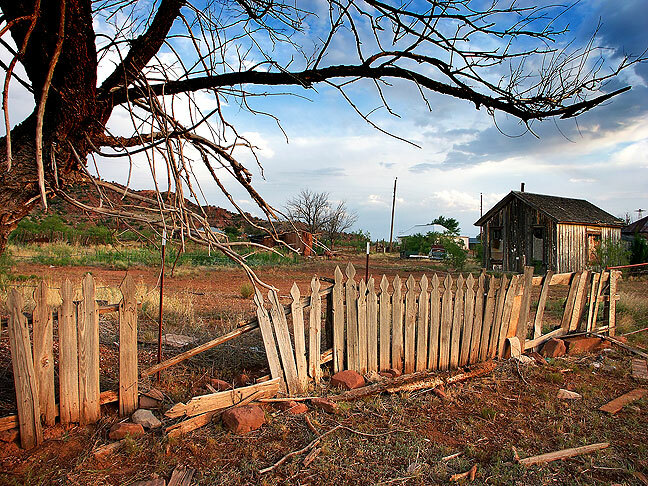 Cuervo, New Mexico, mostly a ghost town, was our first stop on The High Road. 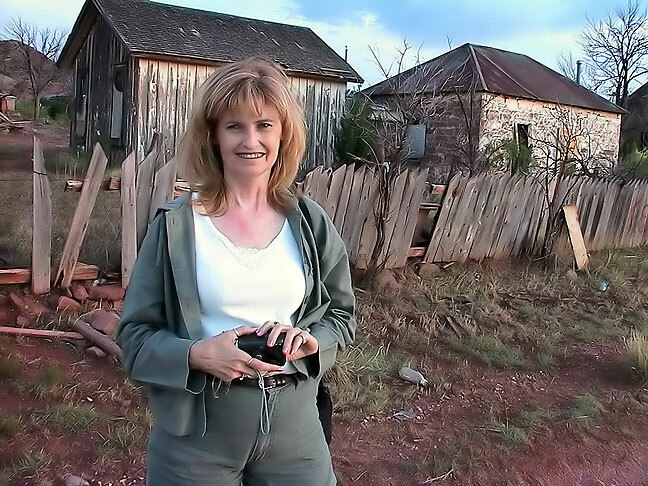 Abby Milligan smile at our first stop, Cuervo, New Mexico. We traveled well together. Abby was so excited that she was giggling. 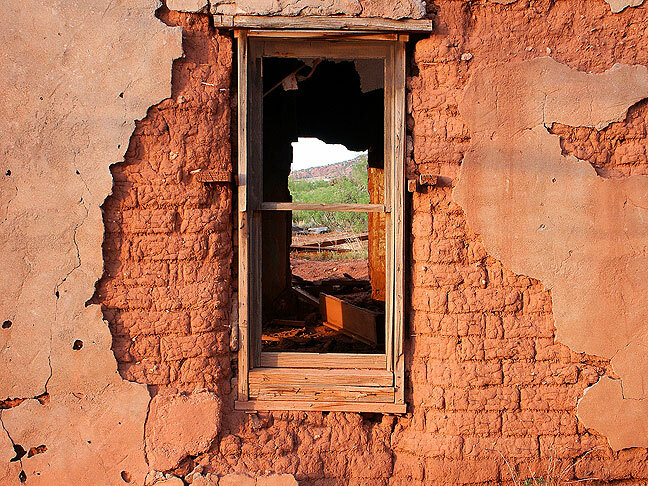 Our travel was perfectly timed to shoot the sunset and last light at Cuervo, a town in disrepair that we dubbed a “ghost town,” that I had photographed once before. 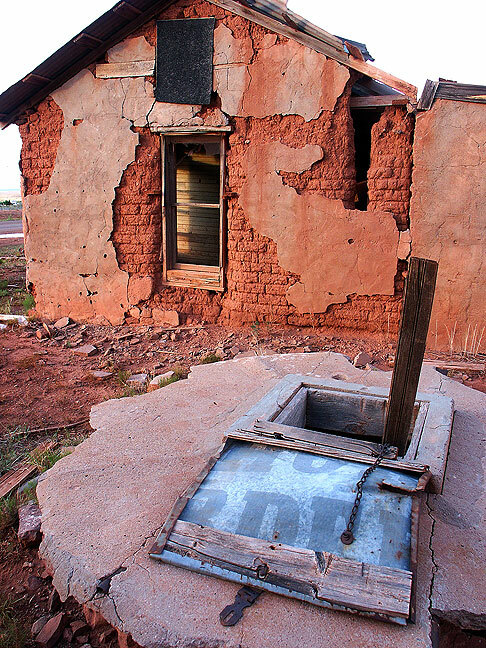 Abandoned house, Cuervo, New Mexico. 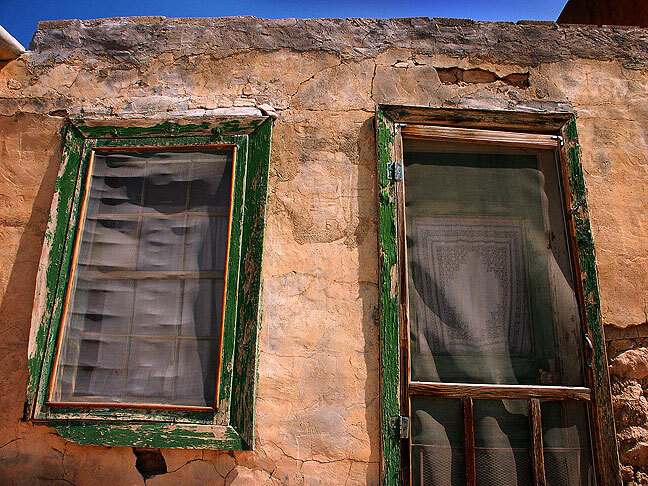 Window, abandoned house, Cuervo, New Mexico. 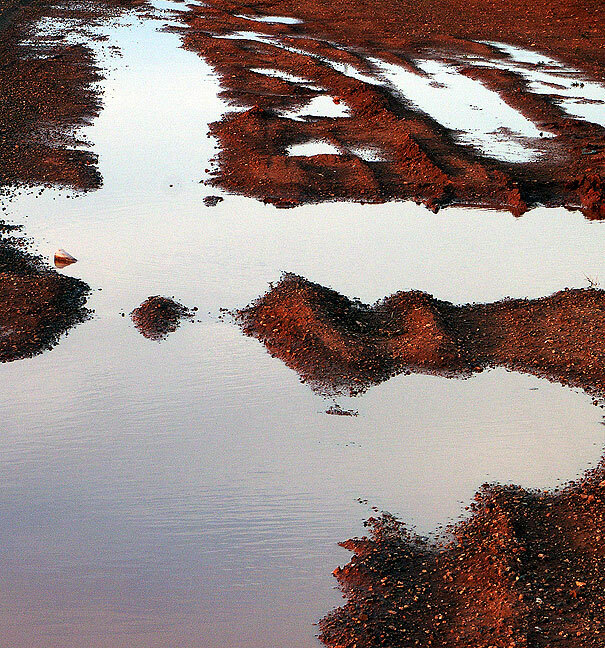 Puddle, side road, Cuervo, New Mexico. 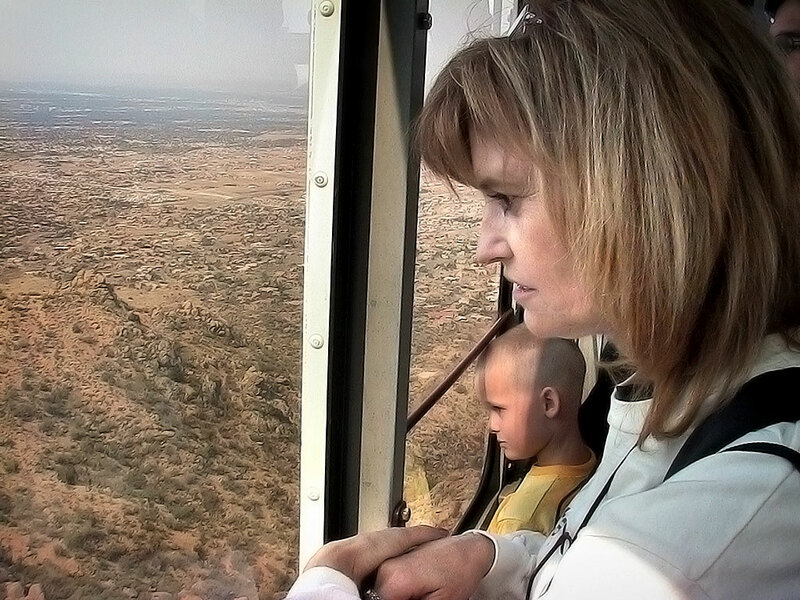 Abby watches as we ride the Sandia Peak Aerial Tramway. After a missed exit and a very interesting drive west on Albuquerque’s Central Avenue, we took the Sandia Peak Aerial Tramway to the top, then hiked through the trail system to the peak, where we had lunch. It was Abby’s first veggie burger. 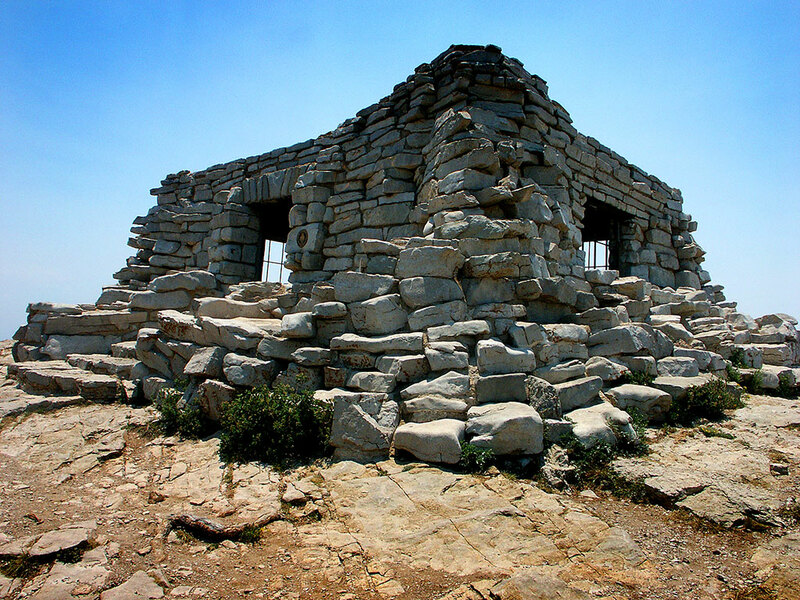 The Scout House at Sandia Peak stands at the edge of a 5000-foot precipice. 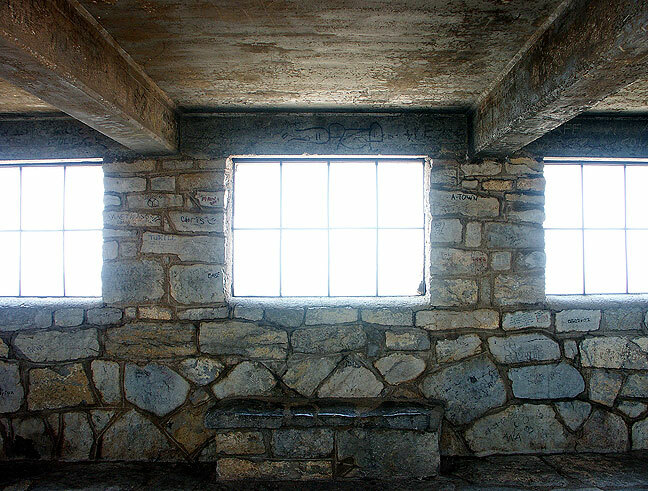 This view was made from inside the shelter house on Sandia Peak above Albuquerque. 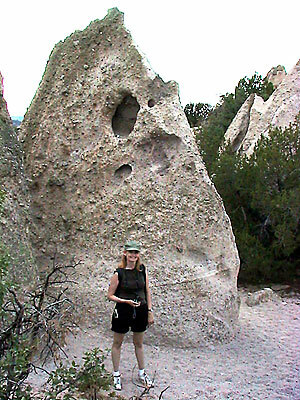 Abby smiles as she wanders Tent Rocks. 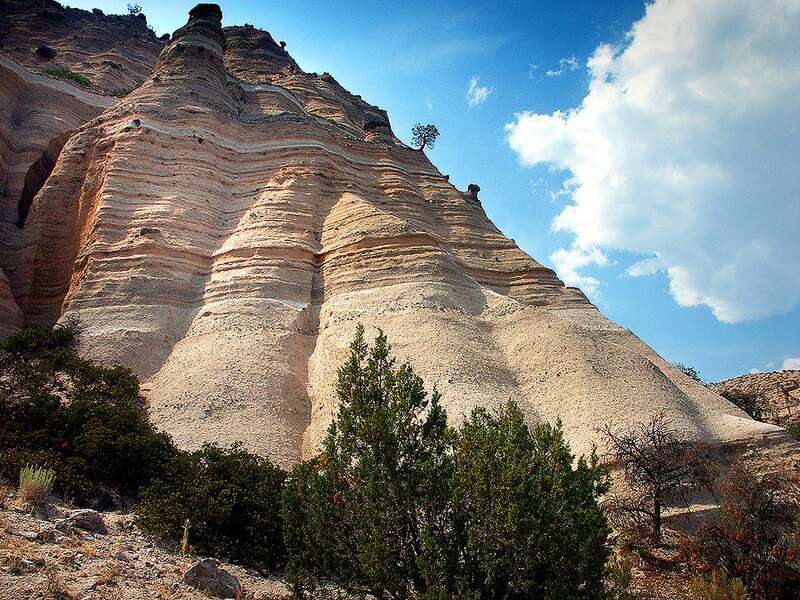 We hiked the shorter of the two loops at Kasha-Katuwe Tent Rocks National Monument, which was far more interesting and more expansive than I imagined it would be. 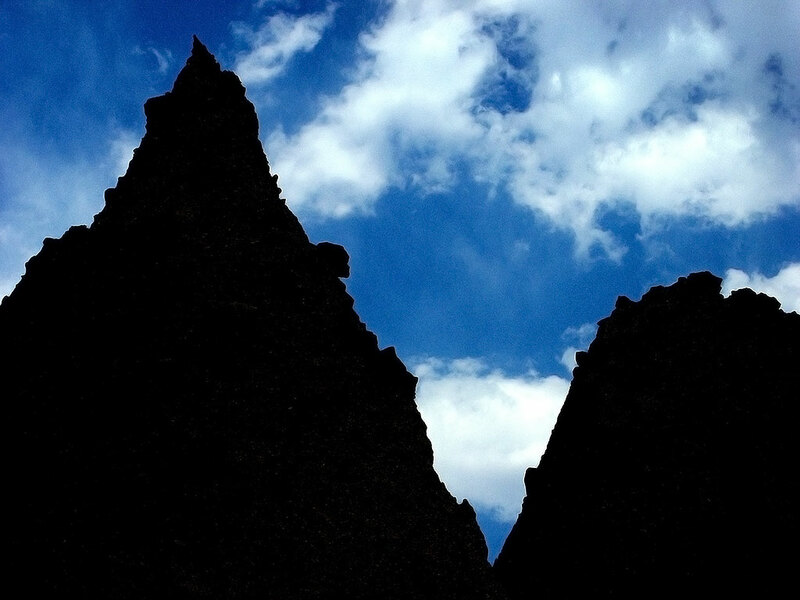 Kasha-Katuwe Tent Rocks National Monument formations are silhouetted against the afternoon sky. 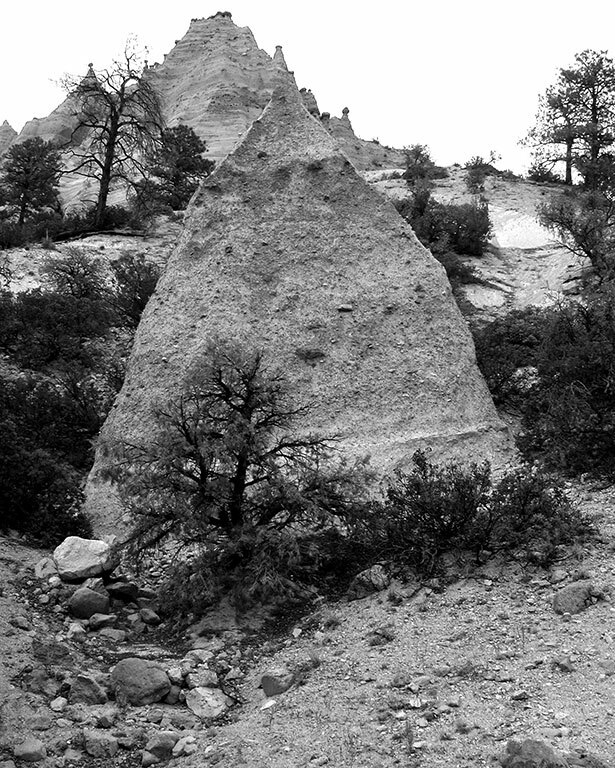 With flat light, we made some Tent Rocks images in black-and-white. 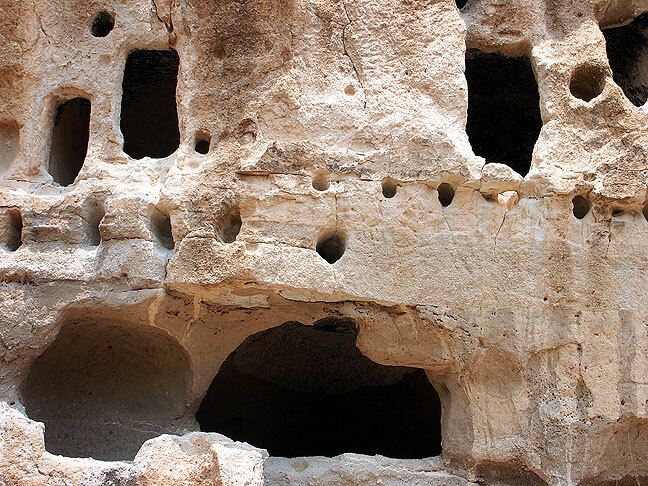 Tent Rocks was interesting, but we didn’t explore it as much as I hoped due to unrelenting heat. 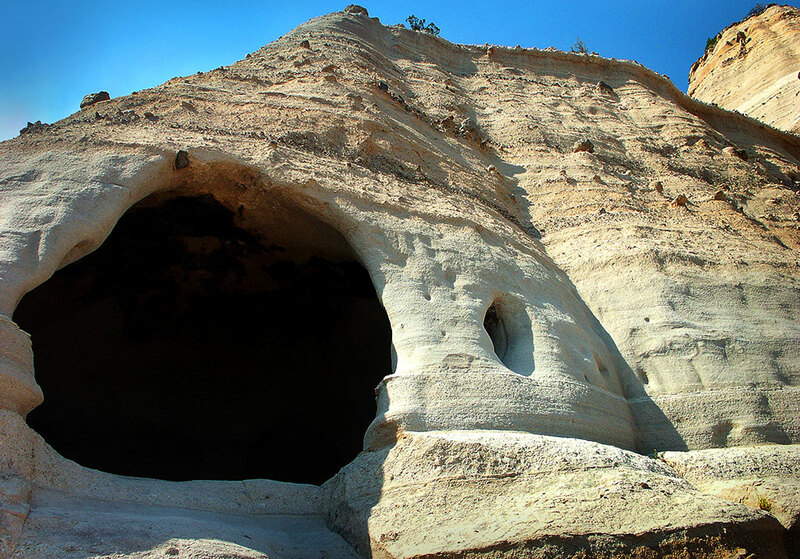 This small cave is visible on the trail at Kasha-Katuwe Tent Rocks National Monument. In Santa Fe, we discovered one of the best Chinese places we have even experienced, next door to our motel, called “Ten Ten.” It was Abby’s first time to have Egg Foo Yung. Abby watches the sun go down in Santa Fe, wearing her “Armed and Dangerous” shirt. 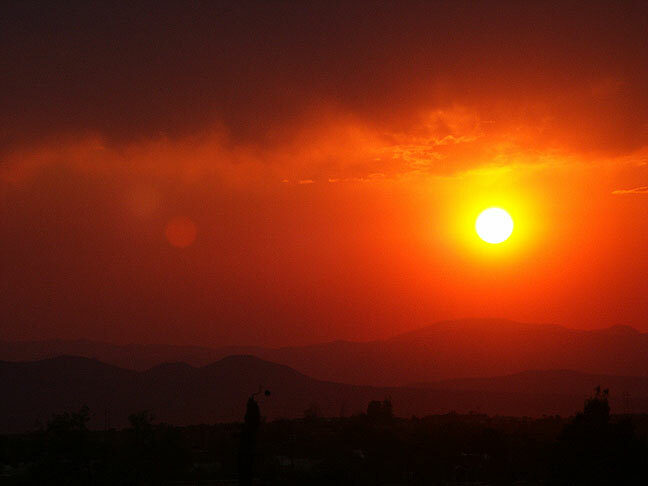 The sun sets on Santa Fe, New Mexico. 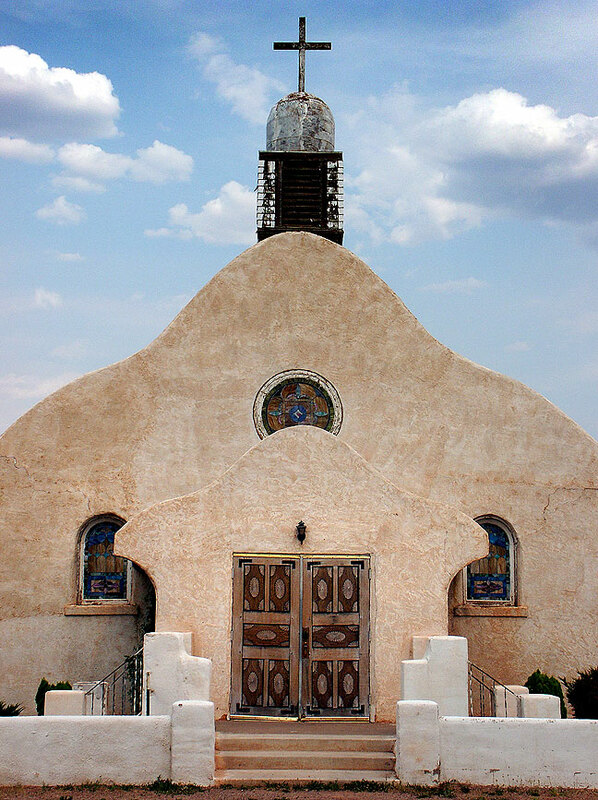 The San Ysidro, New Mexico, mission church stands elegantly in soft afternoon light. On our way Bandelier, we saw signs for the White Rock Overlook which afforded us views of the Rio Grande to the northeast. 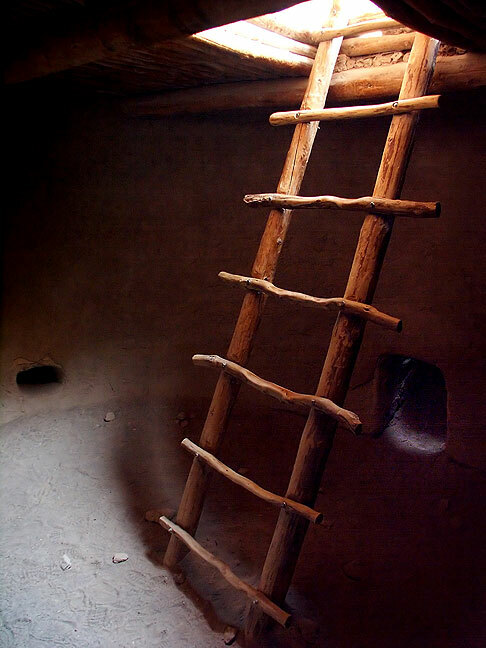 At Bandelier National Monument, we hiked the short trail to Alcove House, a ceremonial cave with a kiva inside, situated on a cliff side that required ascending four wooden ladders. 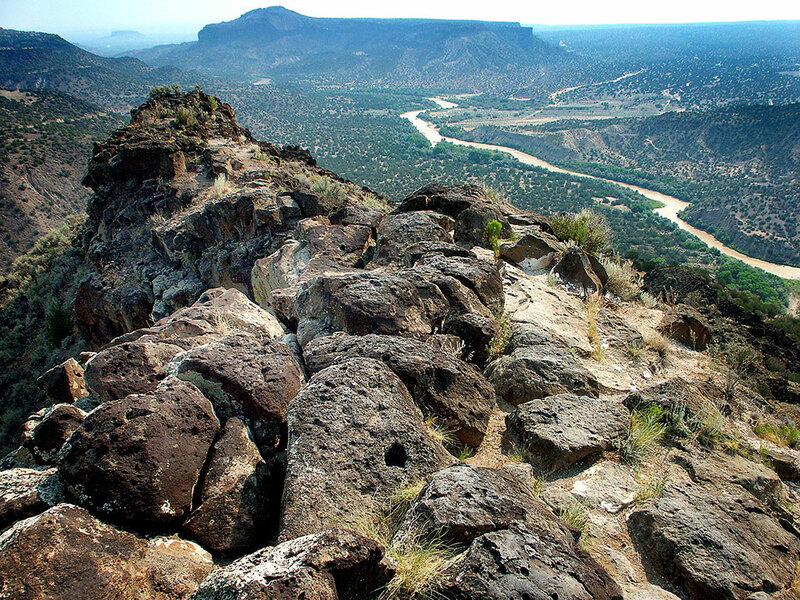 This view from the White Rock Overlook shows the Rio Grande as it flows from northeast to southwest. 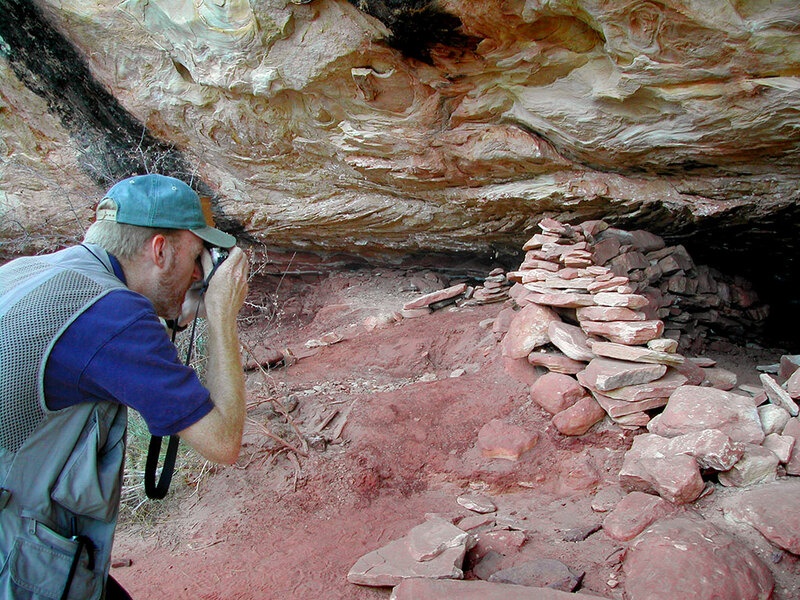 Abby made this image of me making pictures at the White Rock Overlook. You can see a fair amount of haze and smoke from distant wildfires. 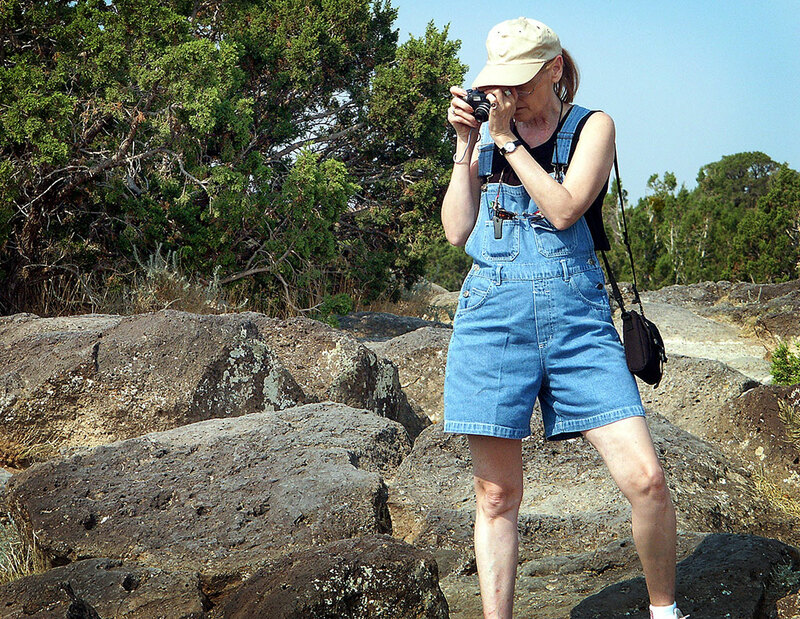 Abby photographs White Rock Overlook. 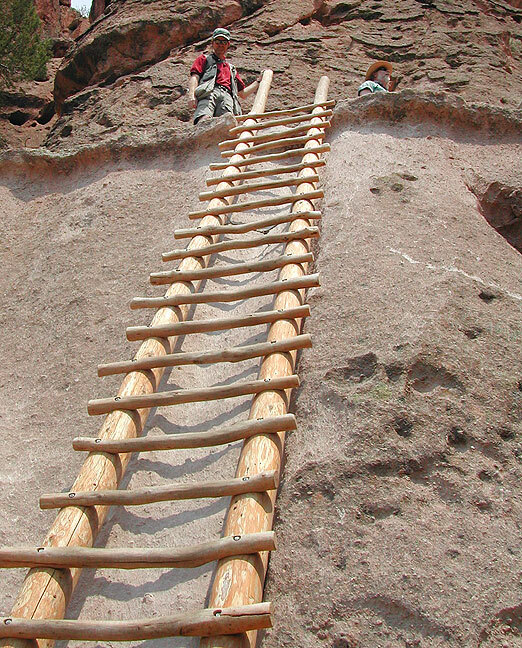 Abby made this picture of me at the top of one of the four ladders leading up to Alcove House at Bandelier. 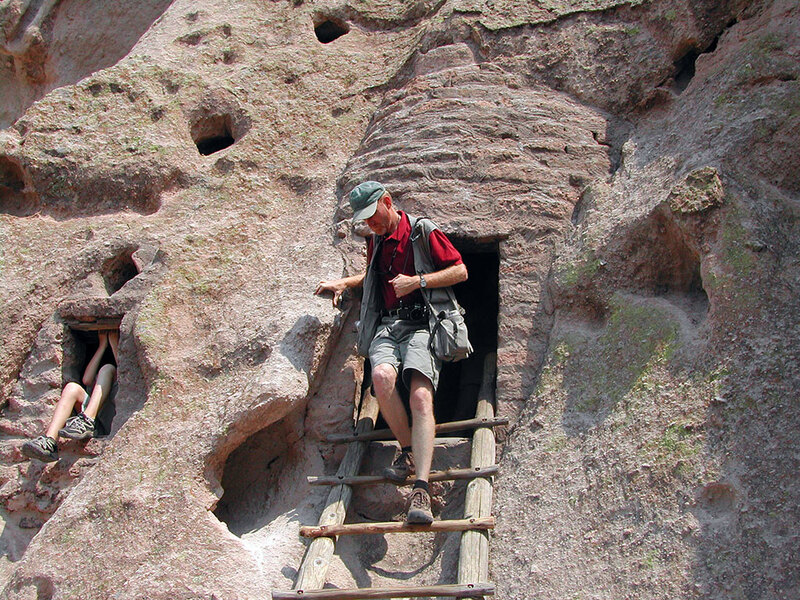 Your host emerges from one of the cliff dwellings open to the public at Bandeiler. 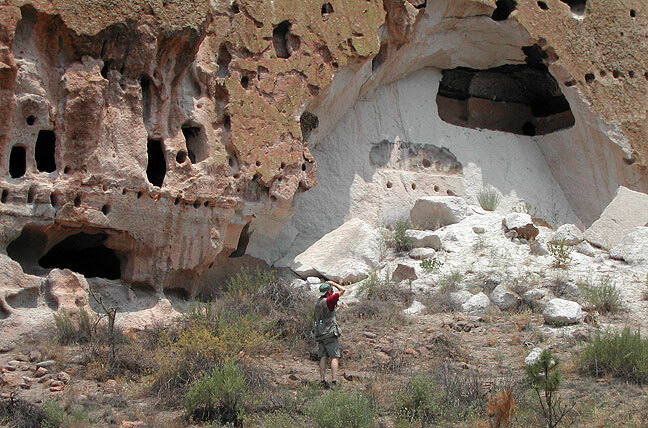 Abby looks at the scenery at Bandelier National Monument. 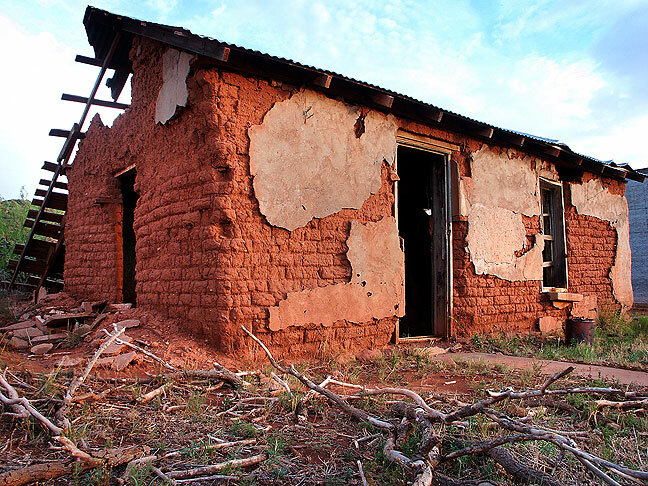 …resulting is this very face-like edifice. 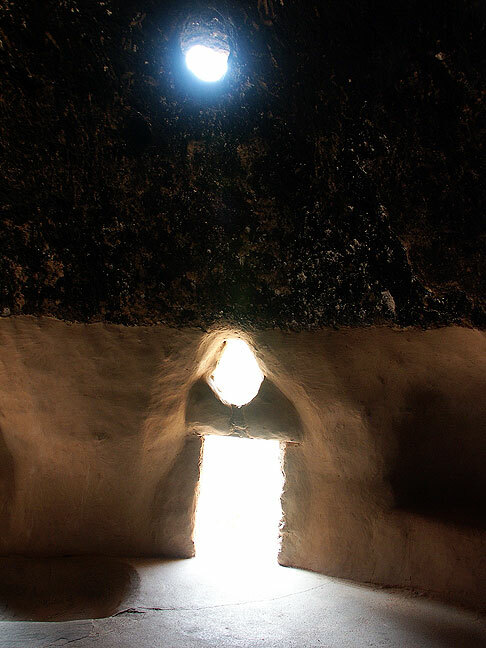 Fisheye view of the ceremonial kiva, Bandelier National Monument; this cave is accessed by ascending four wooden ladders. Abby poses for a photo as she photographs Soda Dam. 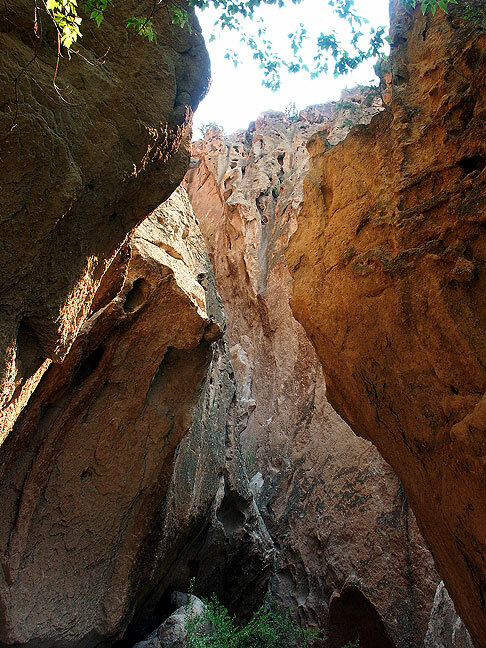 Farther along highway 4 we found the Soda Dam, where water from underground hot springs flows, creating the buildup of mineral deposits, forming a natural dam that blocks the Jemez River. It was easily the smelliest site either of us had ever visited, due to high concentrations of sulphur. 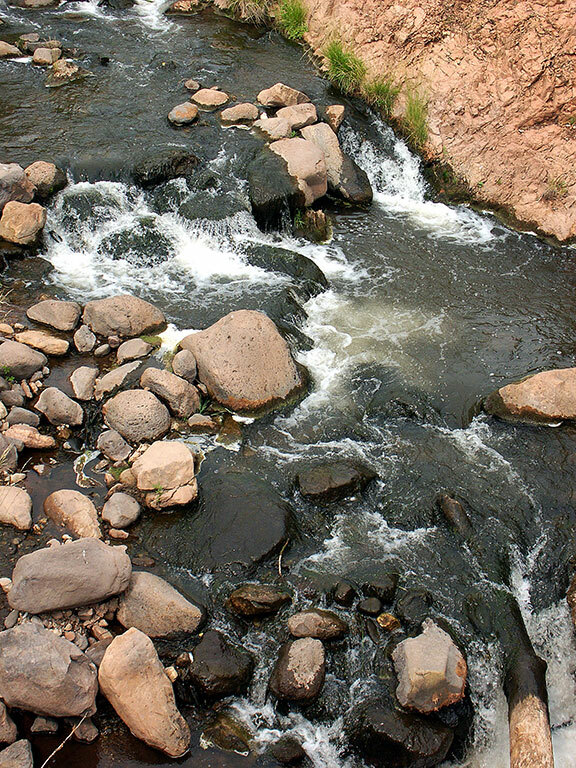 … photographing the Jemez River from above. Abby also photographed me photographing the Dam from ground level. 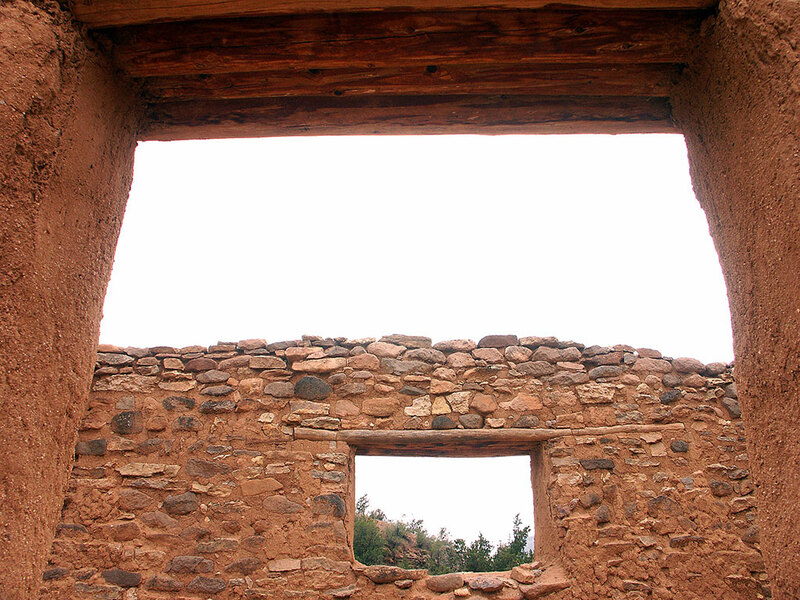 Despite construction at Jemez State Monument, we made a few decent images. 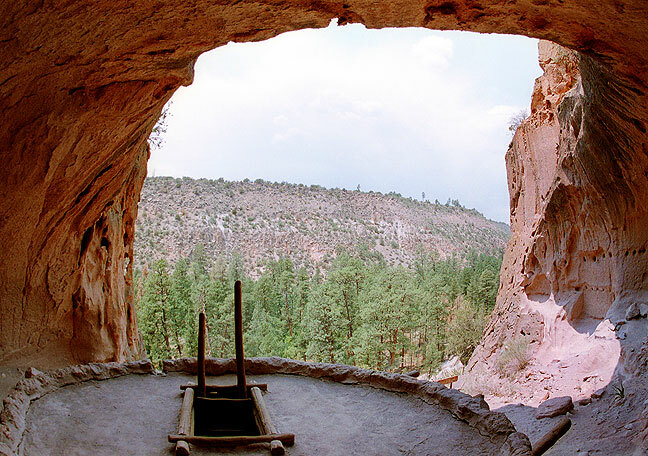 Jemez State Monument was being restored, but we still made a few images. 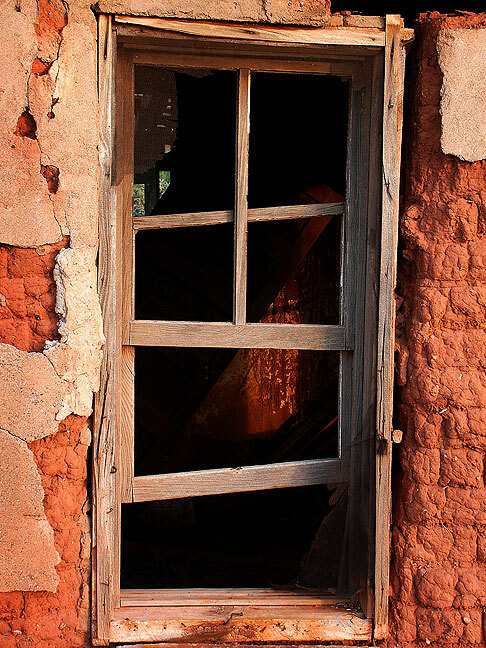 We saw a mission church at San Ysidro and made a few pictures. 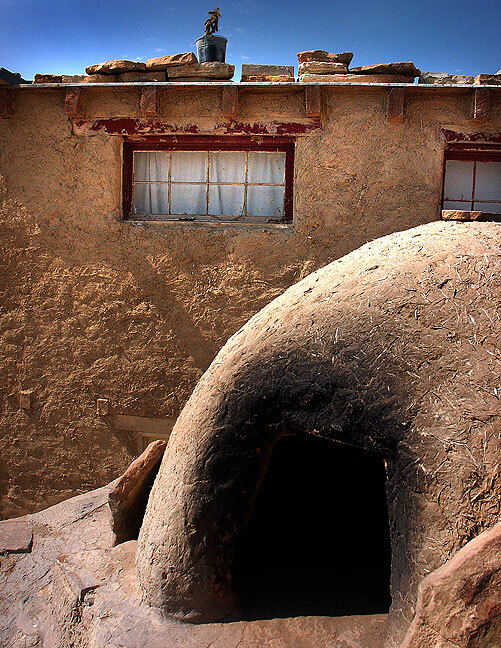 Abby poses at at Acoma Pueblo, New Mexico. Acoma Sky City: our guide was named Orlando, and showed Abby the Acoma sign language sign for “never quit.” Visitors to Acoma are charged per camera, and no video of any kind is permitted. 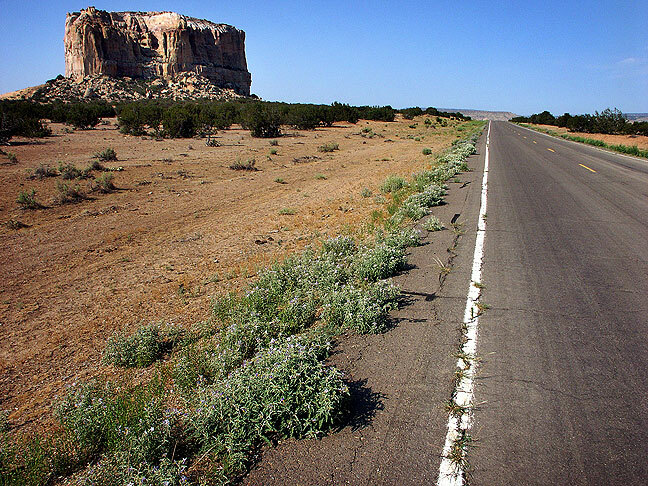 The road from I-40 to the Pueblo passes the Mesa Enchantada, regarded as sacred by the Acoma. 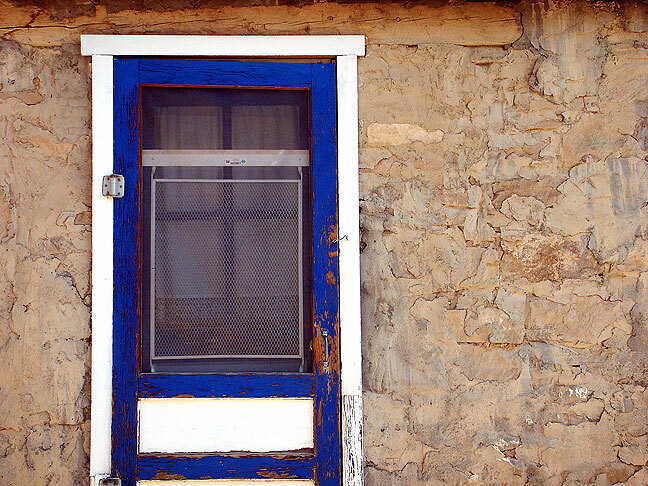 Blue door and wall, Acoma Pueblo. 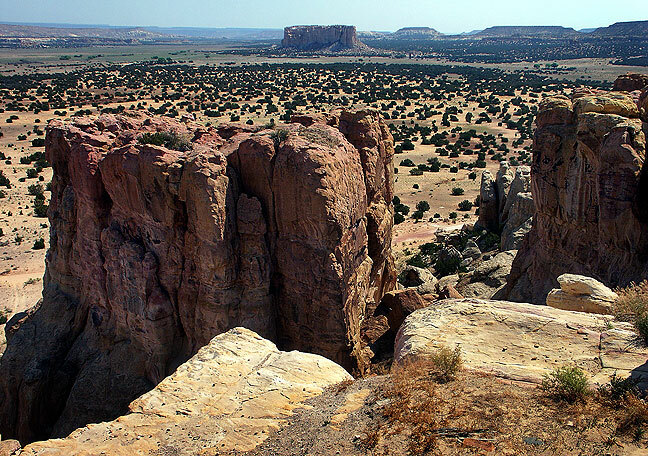 This view looks northeast from Acoma Pueblo toward Mesa Enchantada. 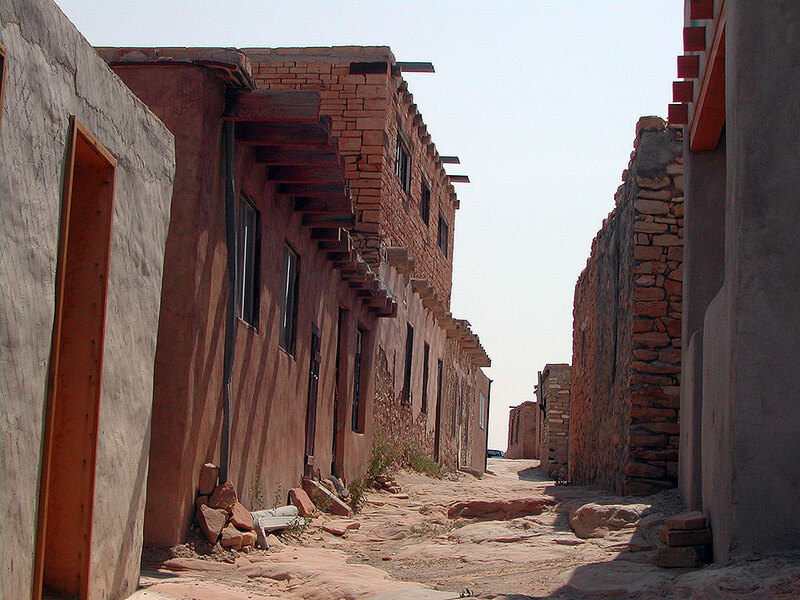 Abby made this beautiful image at Acoma Pueblo. 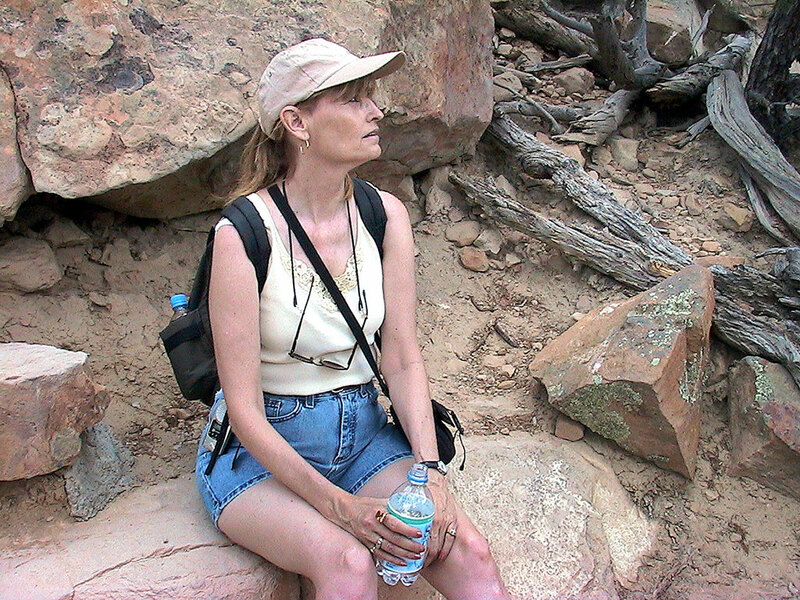 Abby takes break for some water as she and I climb the indistinct trail leading to La Ventana Natural Arch. 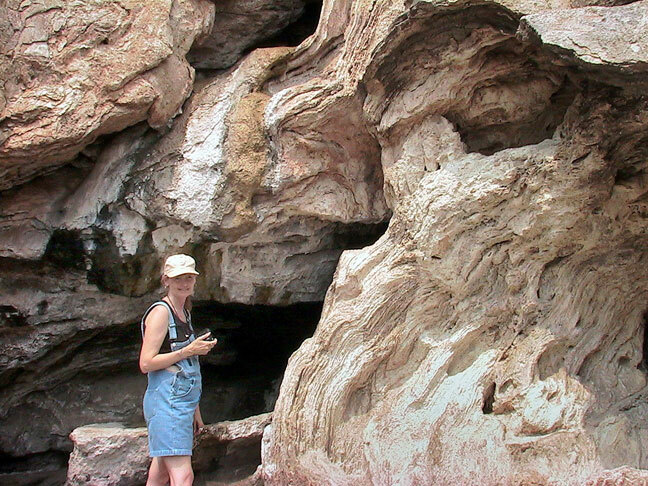 At La Ventana (Spanish for The Window) Natural Arch, we hiked up to and under the arch on the trail that was closed when I visited in 2000. 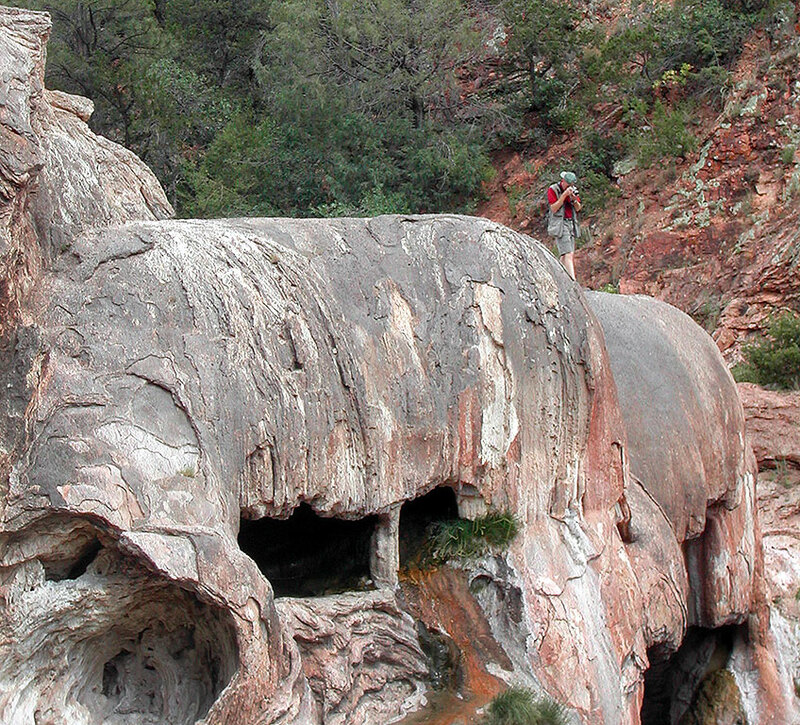 A trail leads to an area directly under the arch. 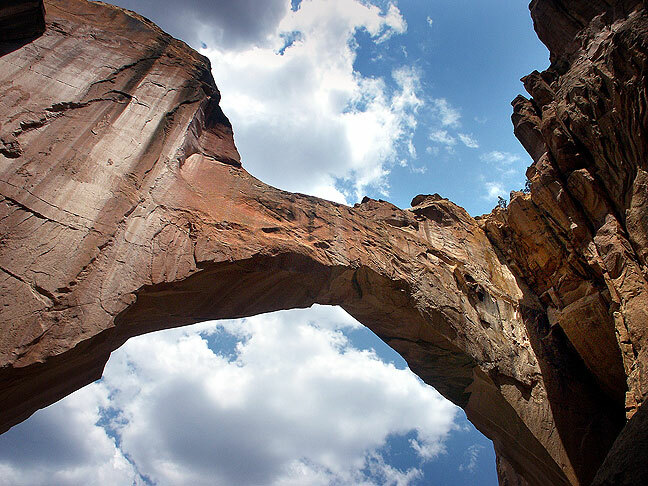 The first time I visited, that trail was closed, but in 2003 it was open and I made some very nice images from beneath the arch. 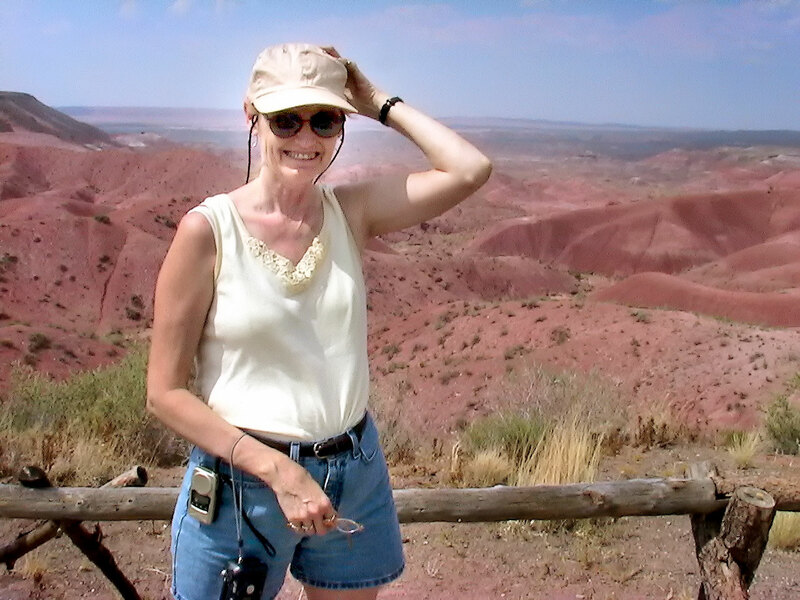 Abby clings to her hat at The Painted Desert. 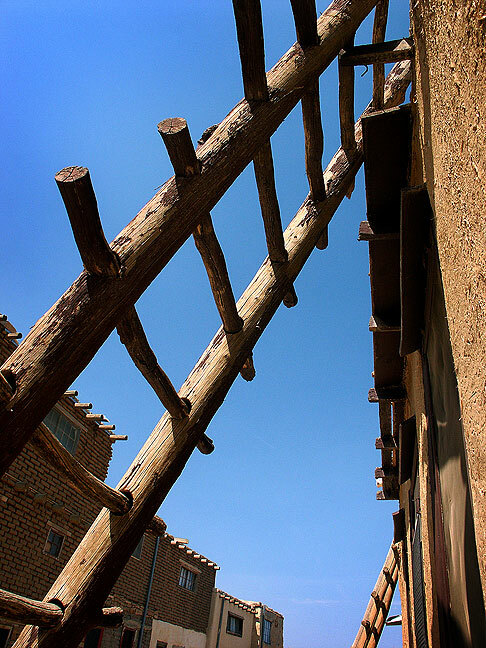 As the day went on, particularly at the Painted Desert in Petrified Forest National Park, we encountered a growing, gusty, hot wind out of the south. In addition to stirring up dust and trying to knock us down as we walked and took pictures, it fanned wildfires to the south, filling the air with a haze of smoke. 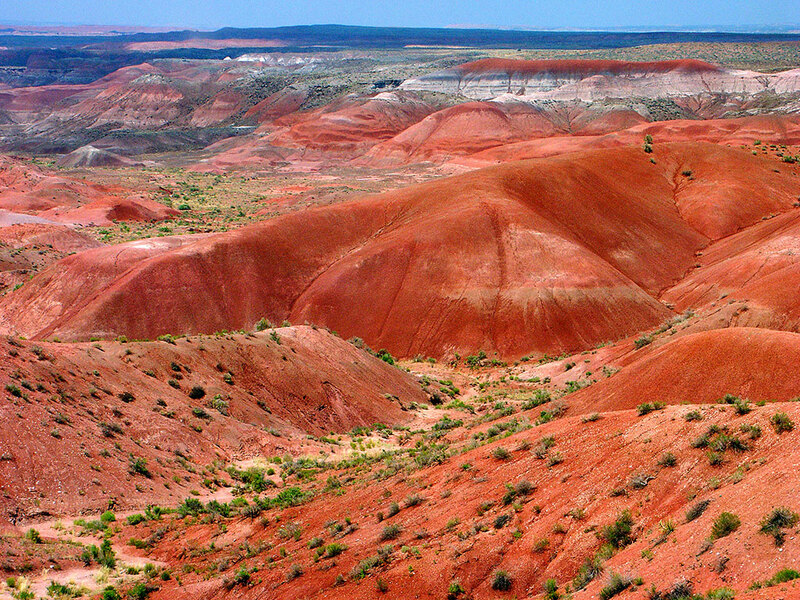 Part of Petrified Forest National Park, the Painted Desert is seen here in light muted by smoke from nearby wildfires. 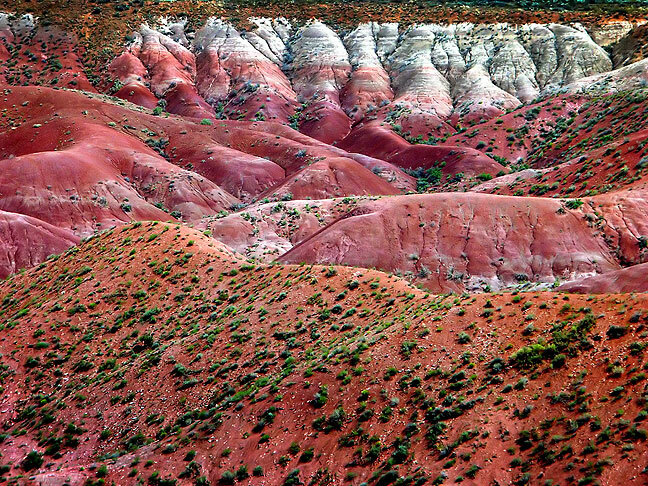 The colors of the Painted Desert were muted by smoke from wildfires to the south, and dust from a fierce south wind. 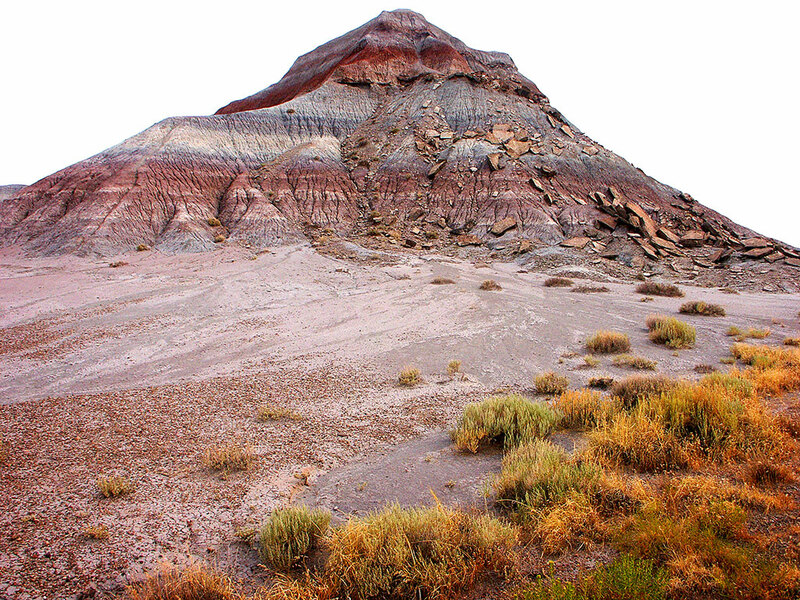 Blue Mesa stands between the Painted Desert and the Petrified Forest. 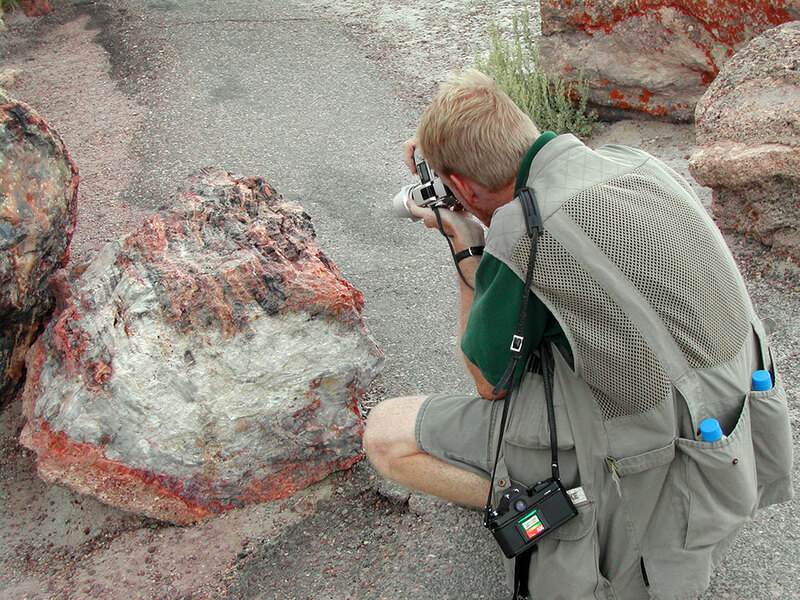 The author photographs petrified wood at Petrified Forest National Park, Arizona. 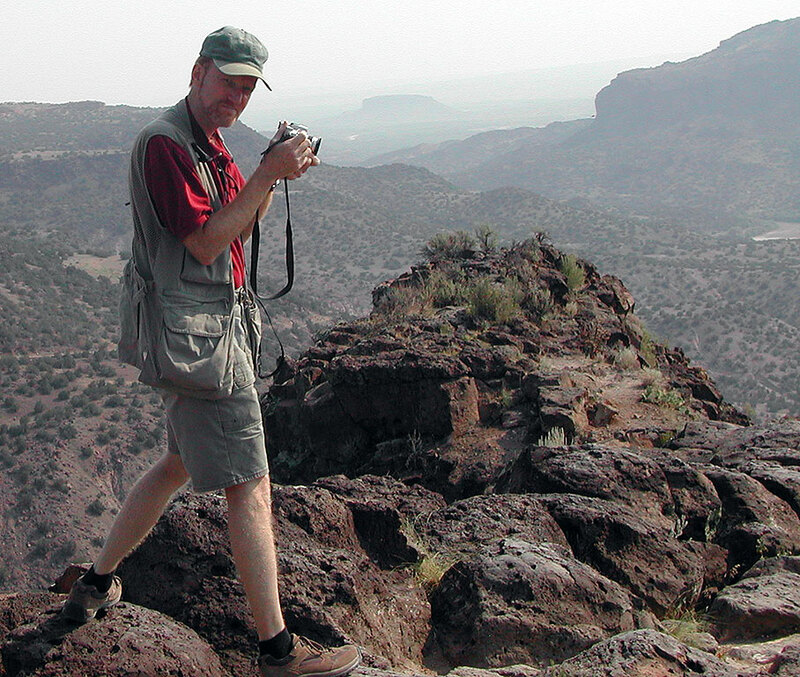 Note my digital camera in hand, and my film camera, with my 16mm fisheye, hanging on my shoulder. 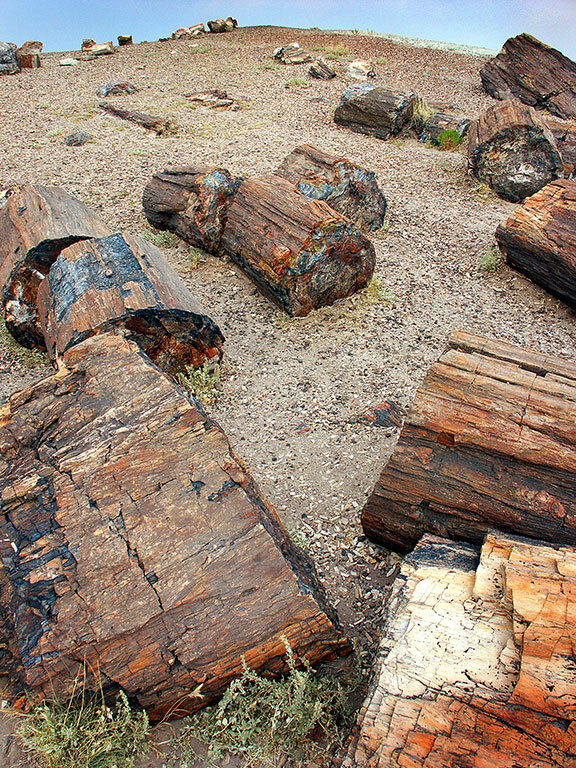 Petrified wood lays strews about at the Petrified Forest. 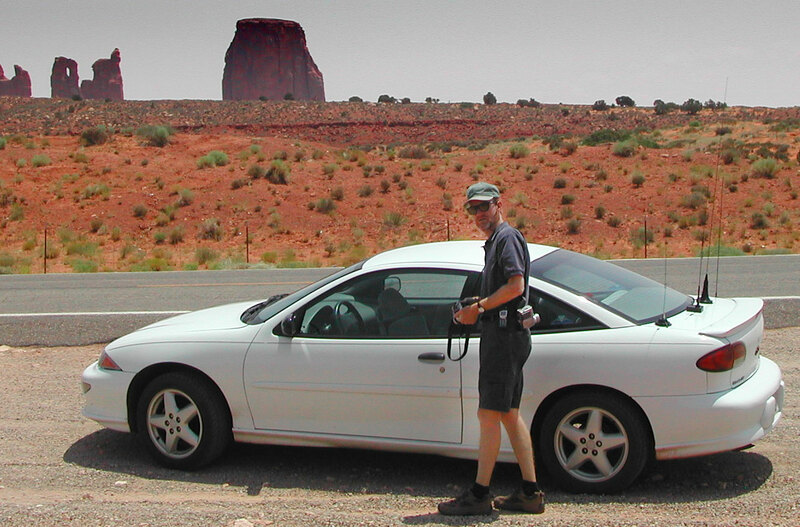 The author returns to the car after stopping by the side of the road in Monument Valley. 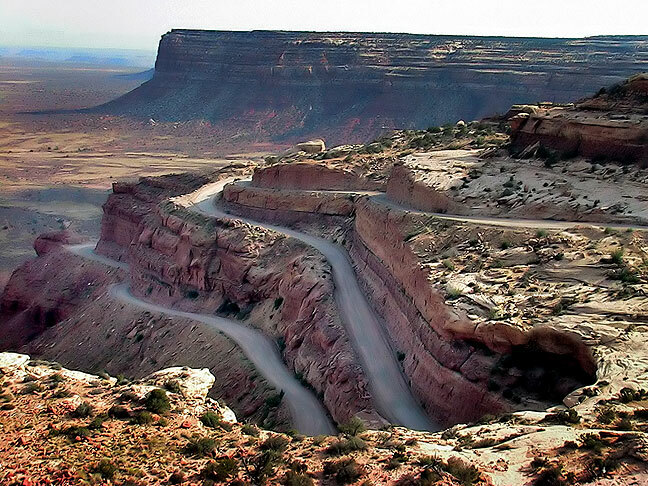 We made a long drive from Page, Arizona into Utah, through Monument Valley, still experiencing haze from smoke to our south, then drove up the Mokee Dugway, a steep, narrow gravel section of Utah 261 that ascends Cedar Mesa. 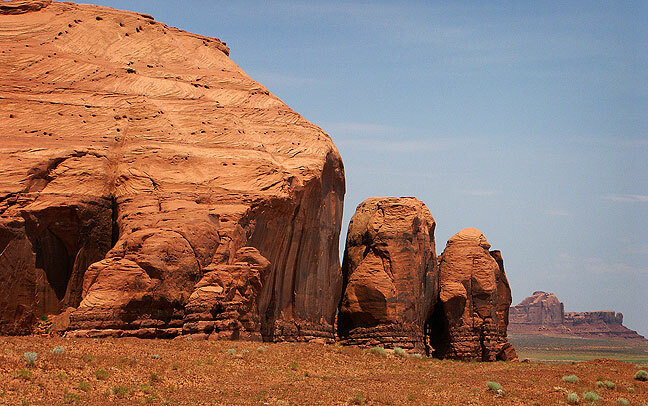 We were only passing through Monument Valley, but did stop to make a few images. Just before I made this one, I startled a steer hiding near the road. 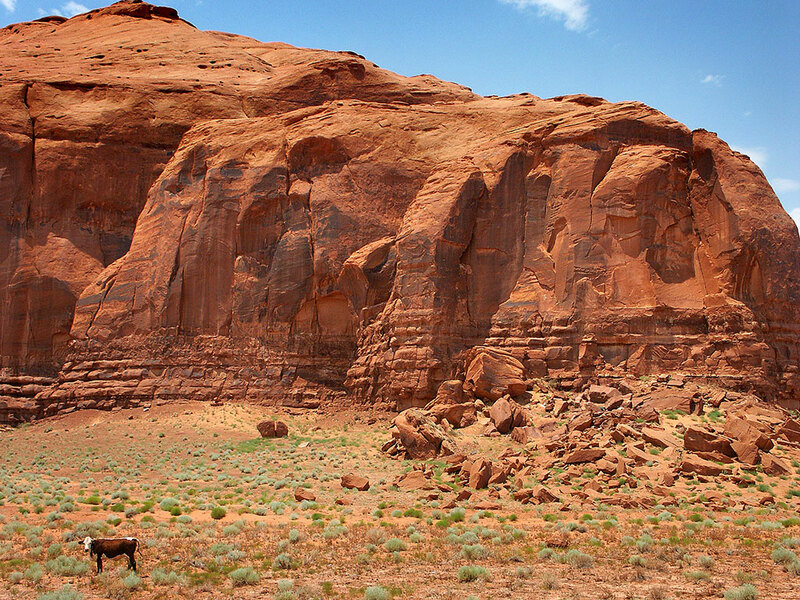 A steer grazes near a stone outcropping at Monument Valley. 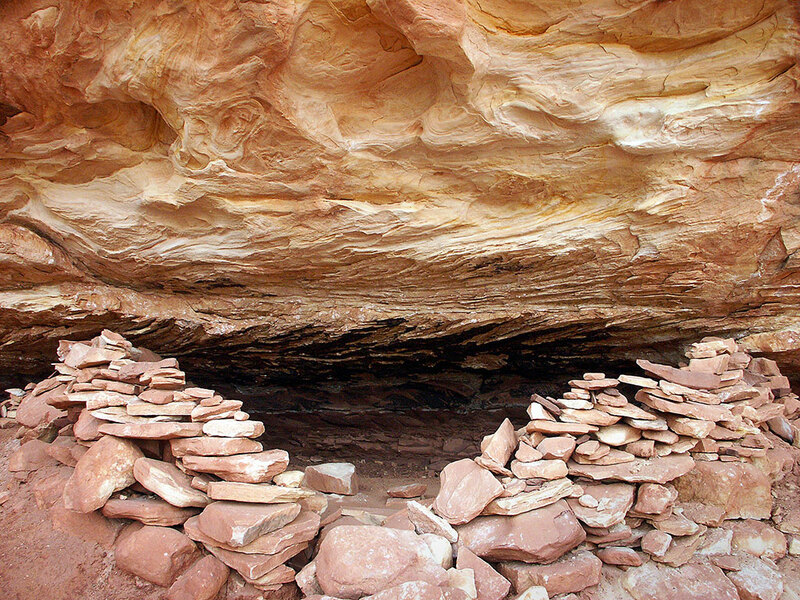 The Mokee Dugway stretches down Cedar Mesa for 1100 feet. 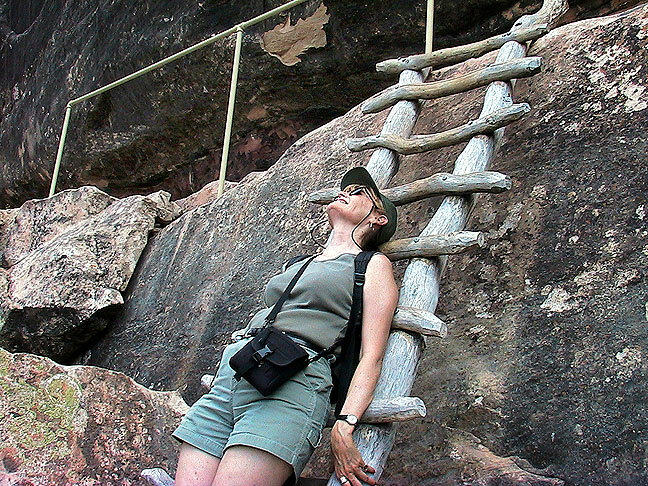 Abby rests on a ladder on the trail down to Sipapu Bridge in Natural Bridges National Monument. 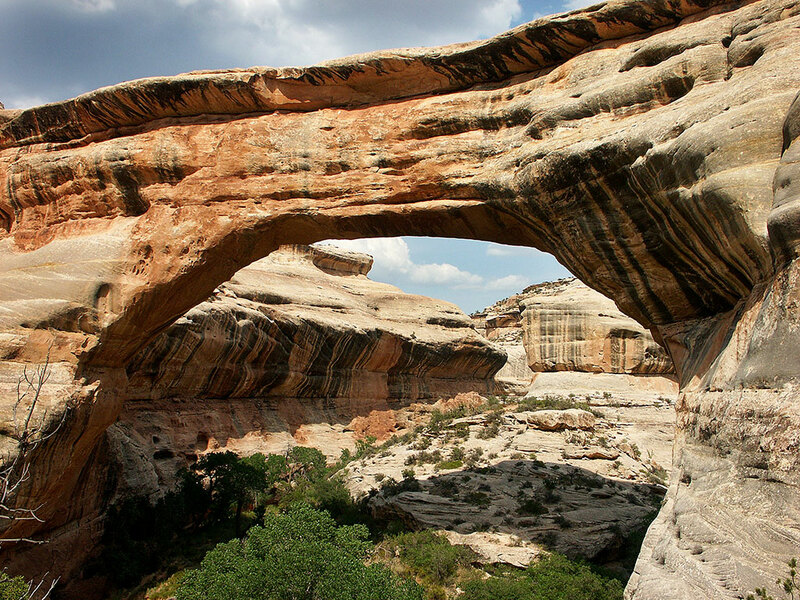 At Natural Bridges National Monument, we hiked down to Sipapu Bridge. It is a nice little hike, and we both had a great time. 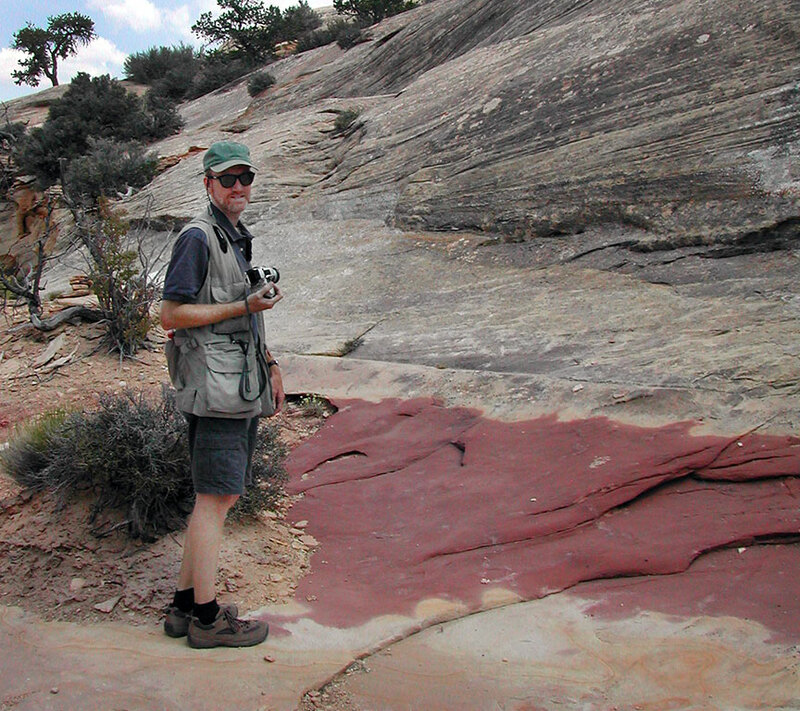 The author turns to smile at Abby’s camera as the two hike down to Sipapu Bridge at Natural Bridges National Monument. 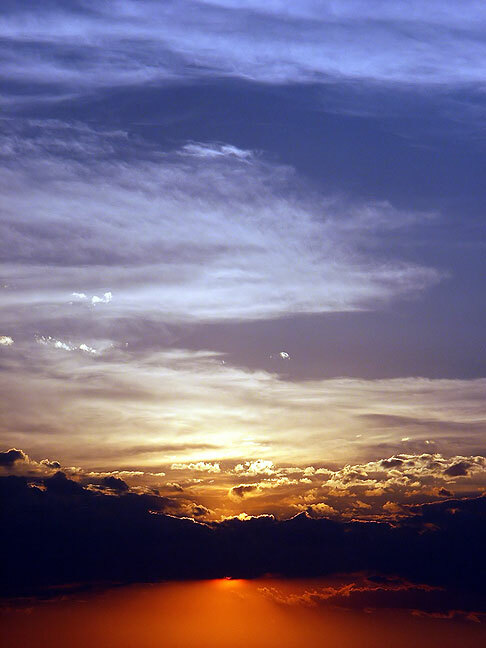 … and this is the image I was making. 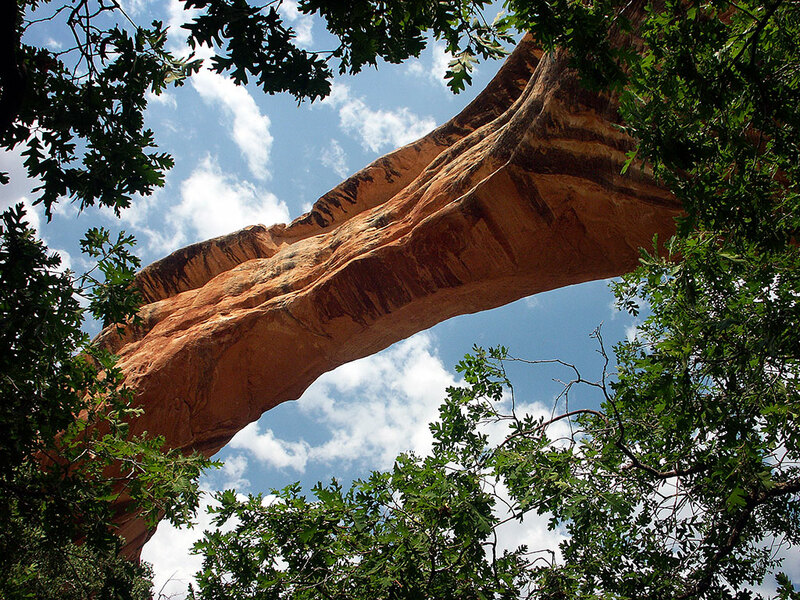 At the bottom of a beautiful trail is Sipapu Bridge, one of the largest natural bridges in the world. Part of the way back up the trail at Supapu Bridge, this view gives a feel for its surroundings. 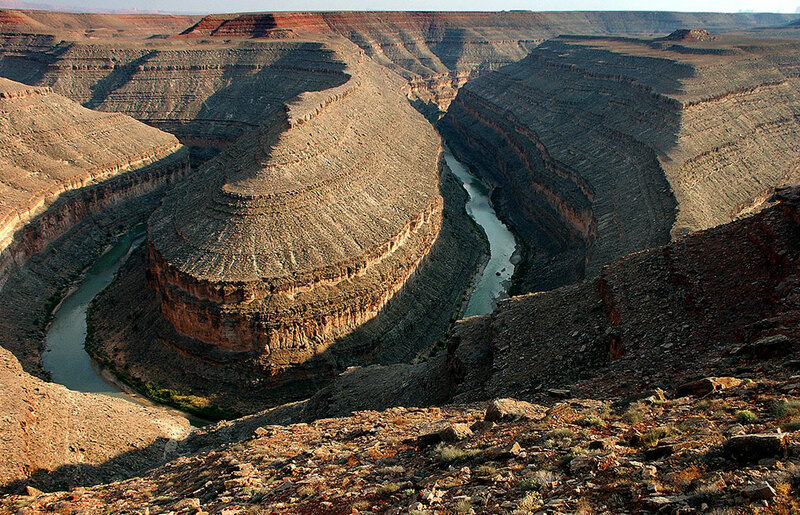 The late afternoon light was kind to us at Goosenecks of the San Juan. 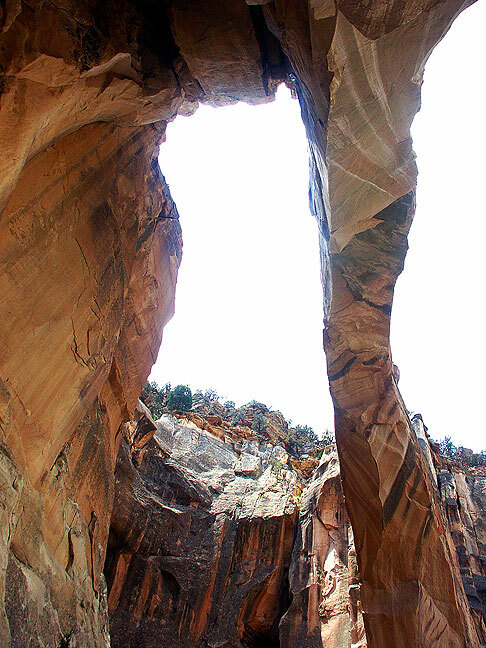 Once we were done at Natural Bridges, we stopped at Goosenecks of the San Juan State Park. I remembered it from early scenes in the movie Koyaanisqatsi. 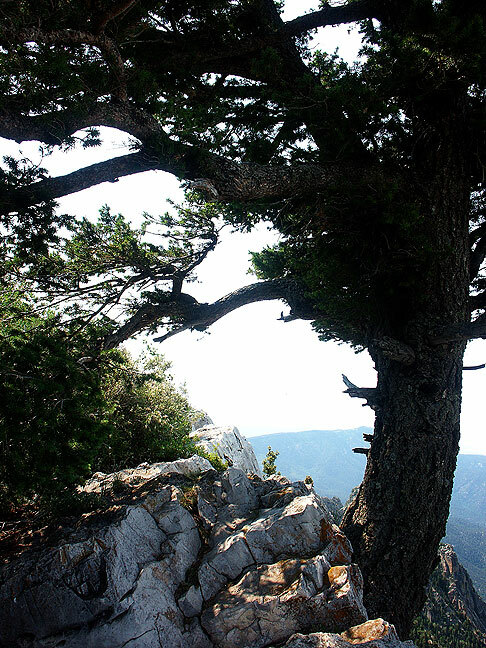 Although there is no hiking available, it was worth our time to stop. 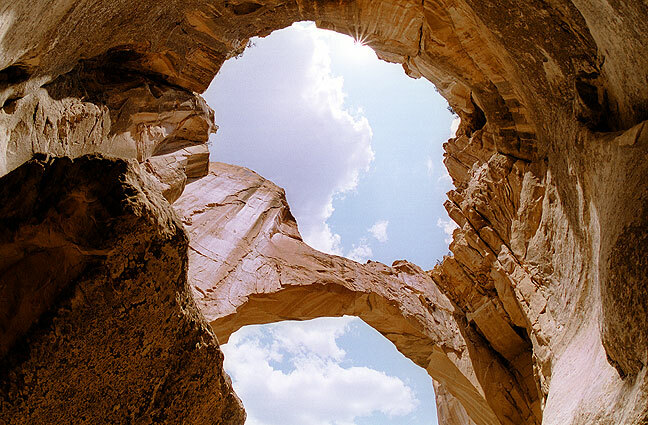 This is a fisheye view of Goosenecks of the San Juan River State Park, Utah. 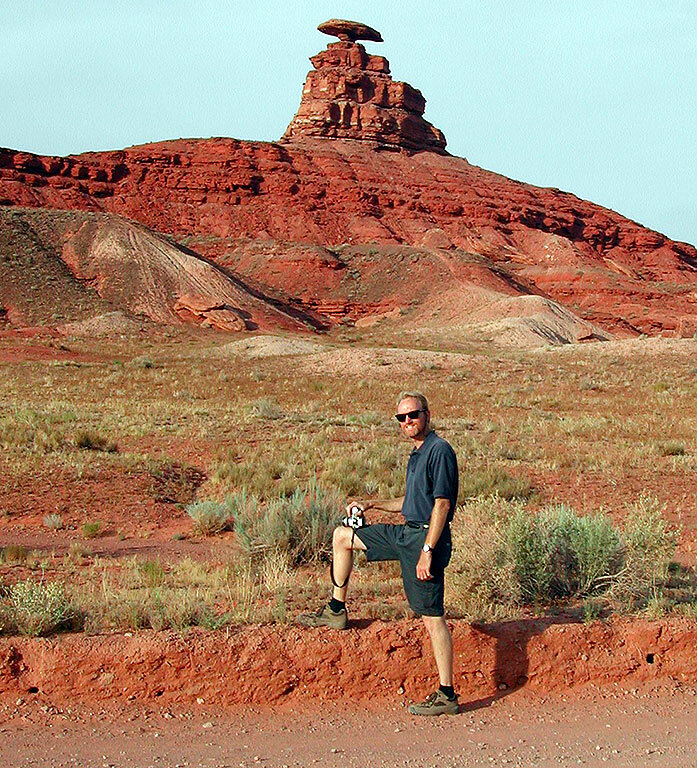 The author poses for a photo at the namesake rock in Mexican Hat, Utah. South of Kayenta, Arizona at Tsegi Canyon, we drove into the light from a deep red sunset and made a u-turn to get back to it for its last few seconds. We spotted this Tsegi Canyon sunset in northeastern Arizona as we were returning to Page after visiting Natural Bridges. Abby smiles for my camera at Vermillion Cliffs. 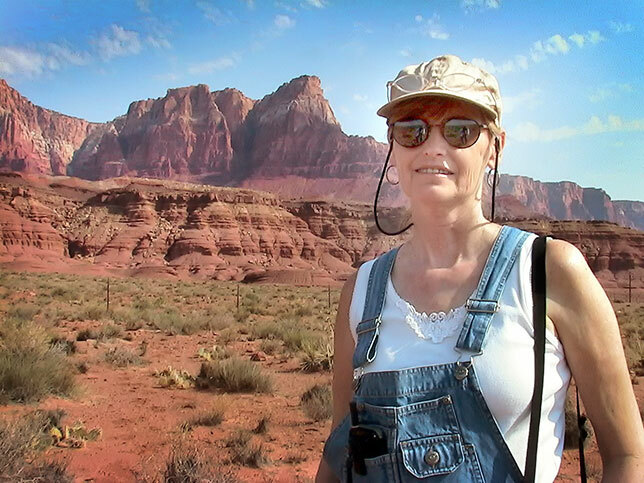 We drove south from Page, Arizona to the Vermilion Cliffs and Navajo Bridge over the Colorado. As morning wore on, kind of at the spur of the moment, we made our way over to the Grand Canyon. Though crowded, being there together was great. 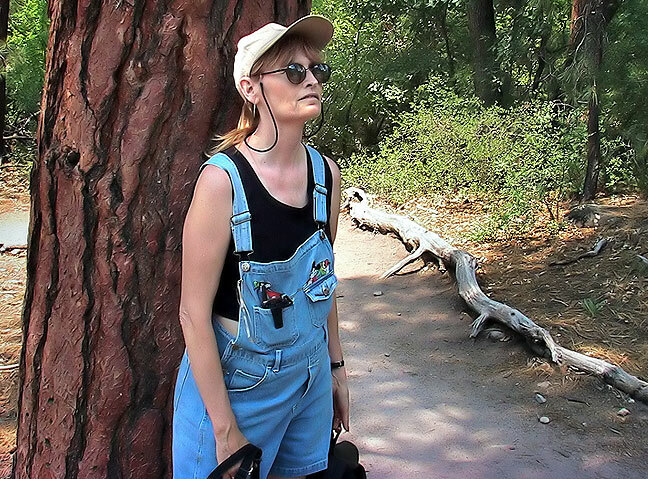 Abby had never seen the Grand Canyon before. 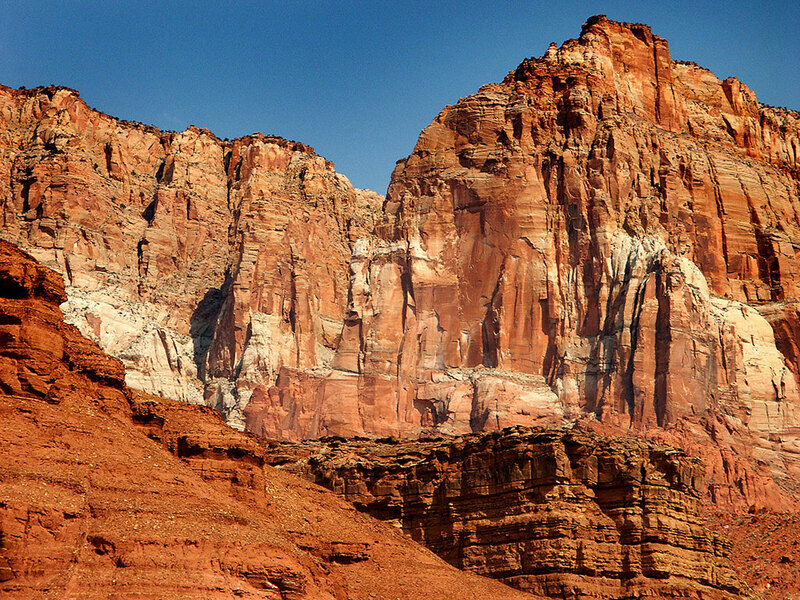 Another view of the Vermilion Cliffs shows how impressive and imposing they are. 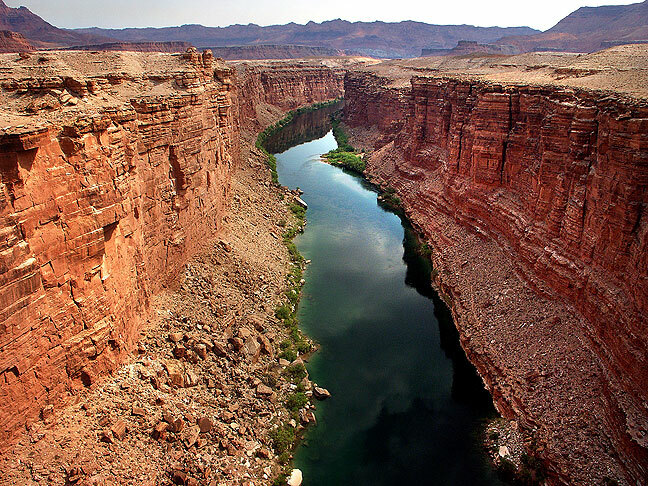 This view looks north up the Colorado river from the Navajo Bridge. 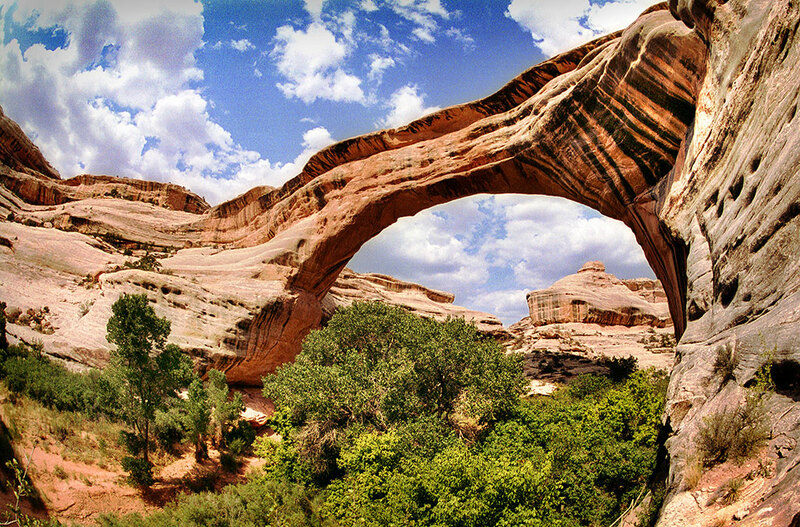 This expensive fisheye view of Navajo Bridge looks south and shows are highway bridge above the Colorado River. As Abby and I prowled closer to the south rim of the Grand Canyon to find a nice photo vantage, we noticed a father with a very young daughter, maybe six or seven years old. 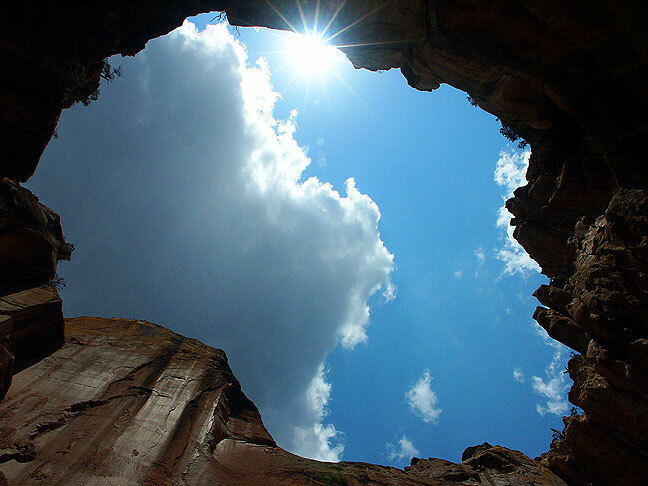 The two moved close to the edge, then to a stone prominence with a gap between it and the edge. 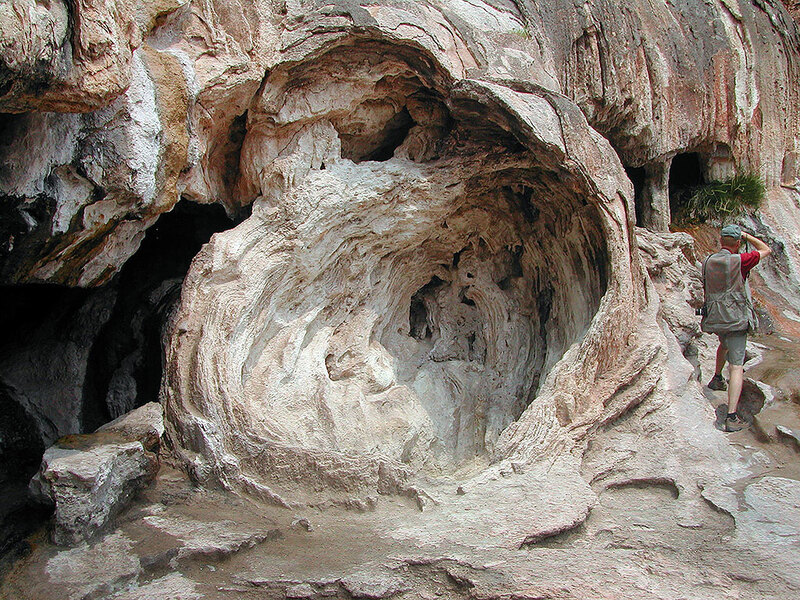 The dad lifted the girl by her arms and, despite her rather terrified protests, swung her once, twice, and on the third time heaved her, screaming, across the gap onto the stone landing. 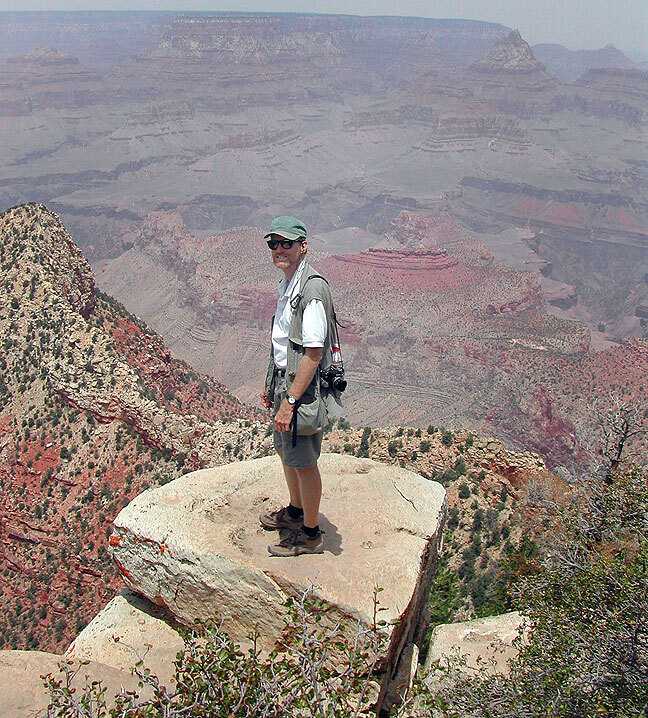 Abby spotted me on an outcropping on the south rim of the Grand Canyon, and though she photographed me, she wouldn’t come out there with me. The Grand Canyon didn’t make great images due to continued smoke in the air due to wildfires in central Arizona. 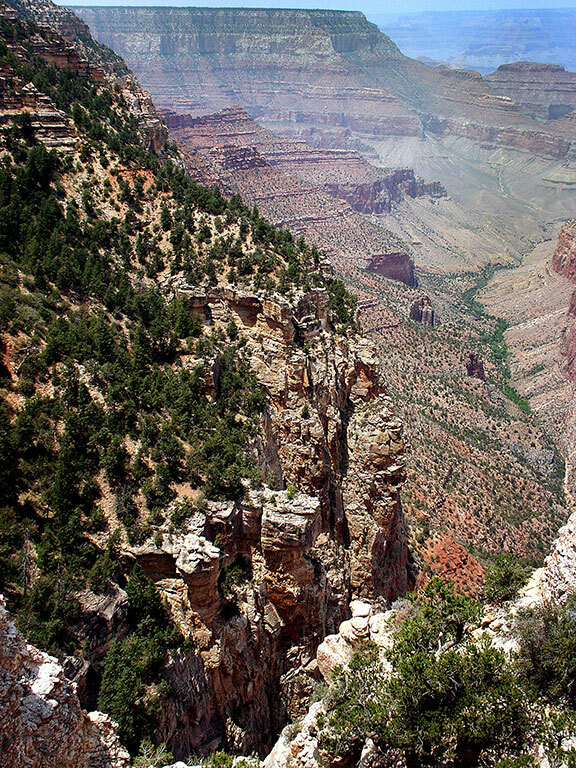 This view of the Grand Canyon looks east from the Navajo Overlook. 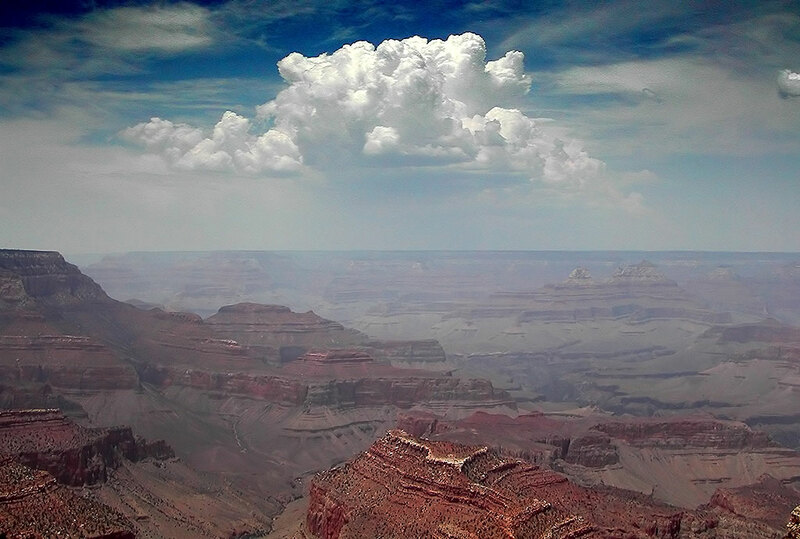 This is one of Abby’s images, emphasizing the haze and smoke we encountered at the Grand Canyon. 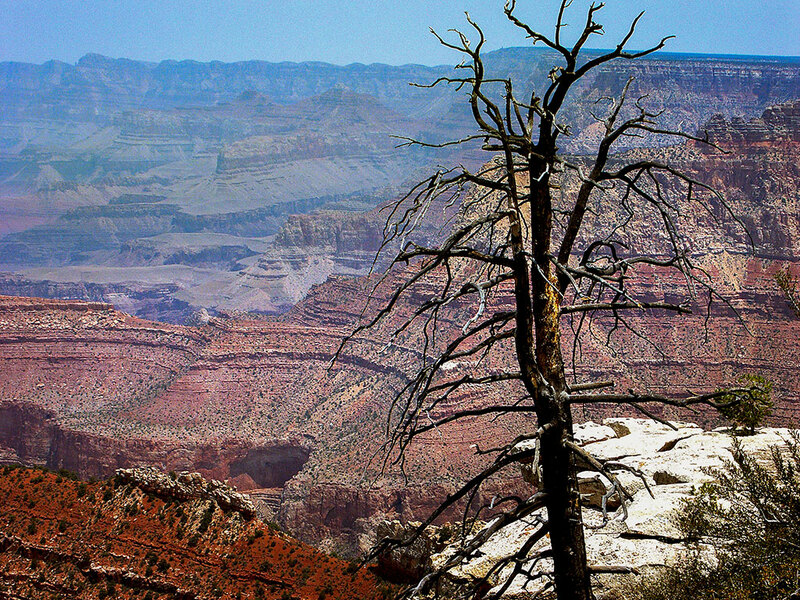 It was so smokey at the Grand Canyon that I only made a few images of the canyon itself. 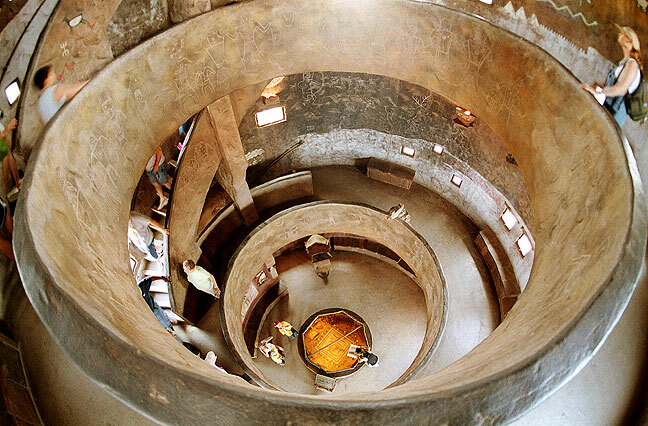 Instead, I shot this fisheye view from inside the Desert View Watchtower. 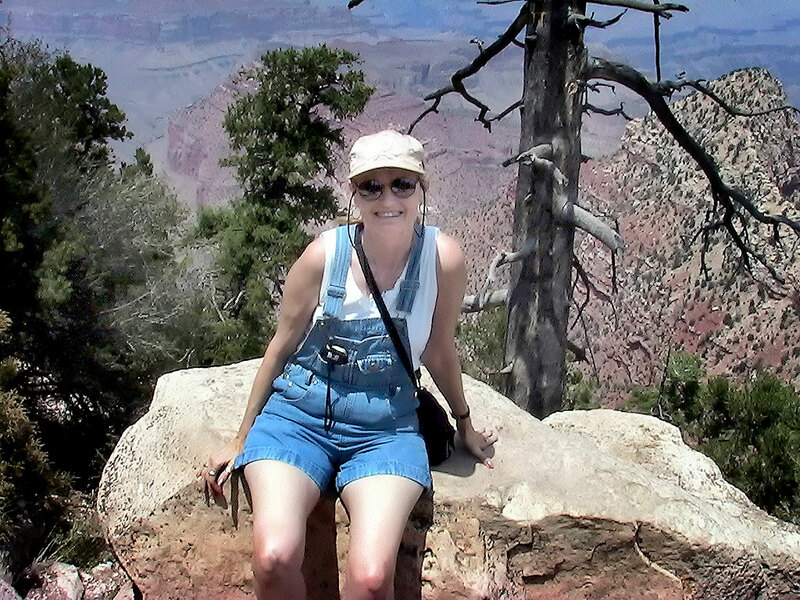 Abby smiles from the south rim of the Grand Canyon. It was her first visit to the landmark. Farther south we encountered the Kaibab National Forest. 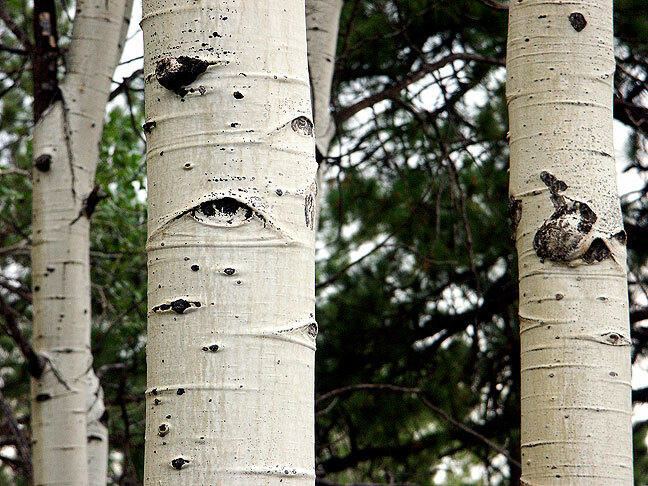 The Aspens were beautiful, and we found and photographed portions of the forest that had burned some years earlier. 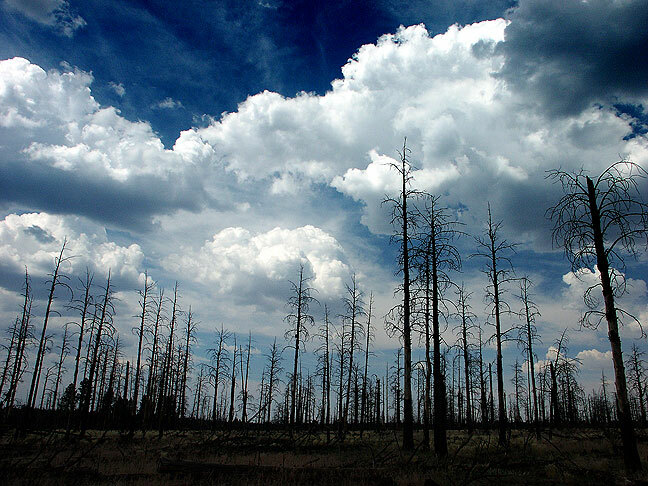 Some areas of Arizona’s Kaibab National Forest were eerily bleak from fire damage. 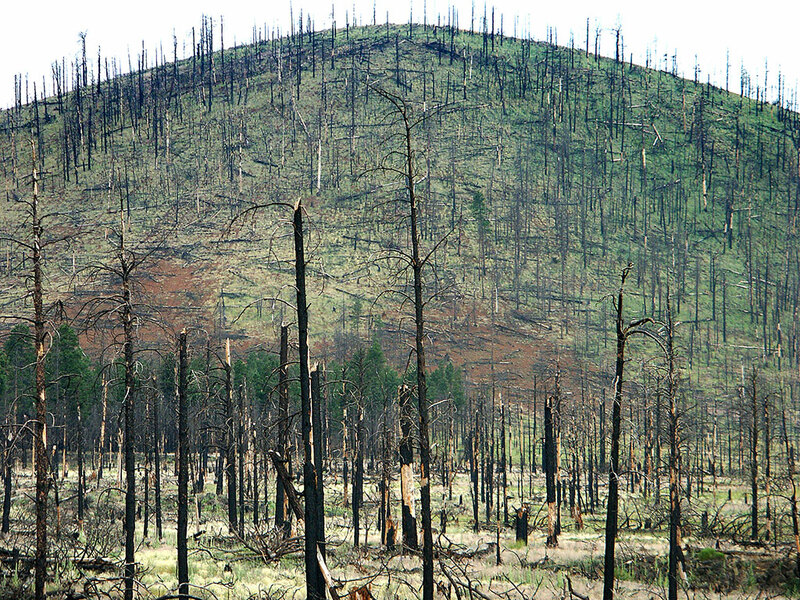 Fire damage created this impressive, stark scene in the Kabab National Forest. 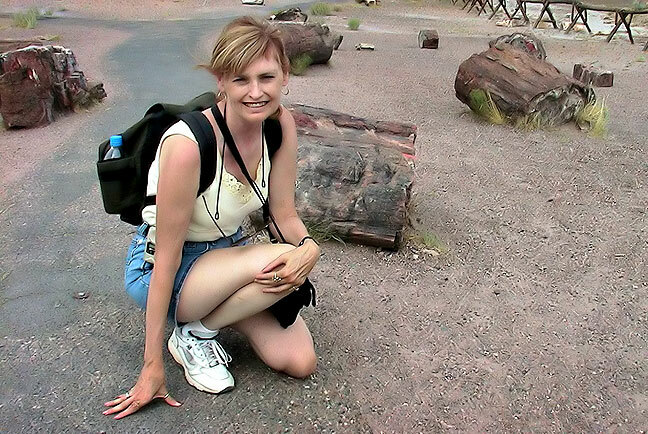 Abby shot this photo of me with the giant jackrabbit in Winslow, Arizona. 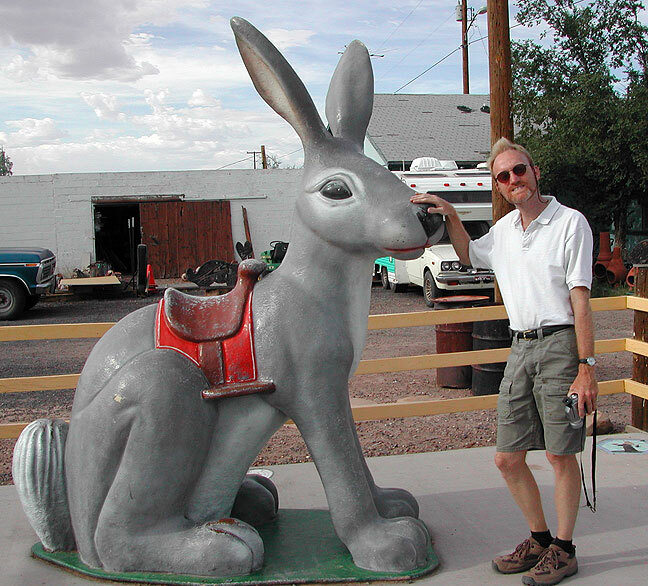 Finally, bated by billboards, we stopped at the Giant Jackrabbit in Joseph City, Arizona. 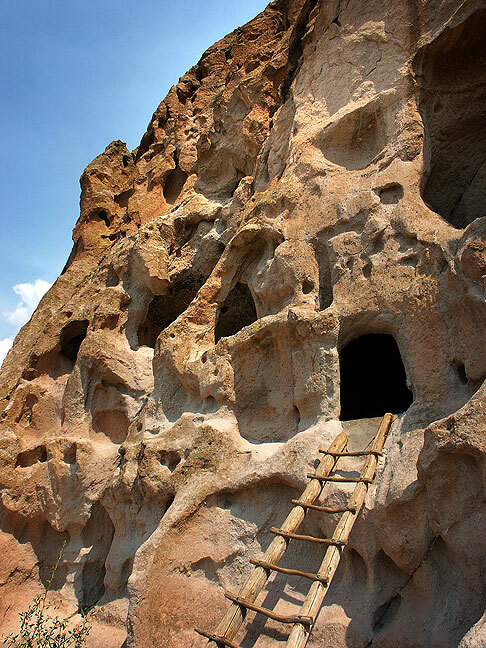 Originally this trip was just intended to explore the area around Tent Rocks and Bandelier in New Mexico, but as we traveled and had so much fun together, we decided to see more and more. We had the times of our lives. 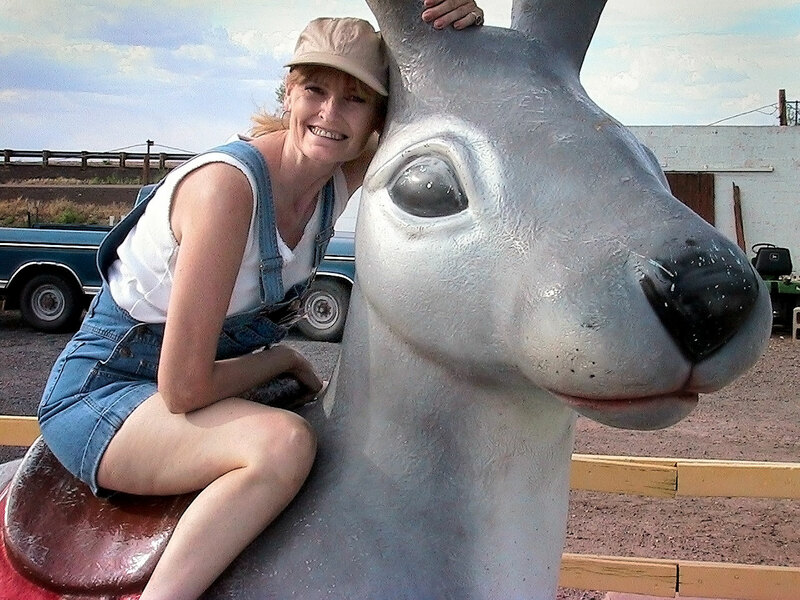 Abby smiles as she sits on the giant jackrabbit. 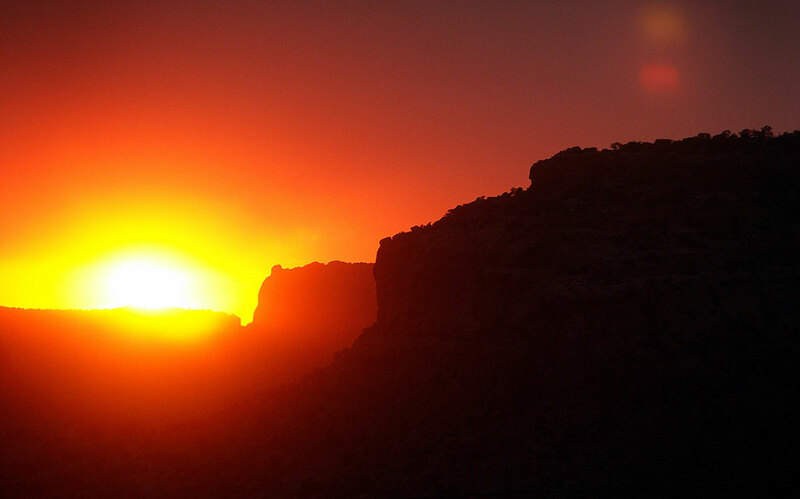 The sun sets brilliantly in Tsegi Canyon near Kayenta, Arizona.